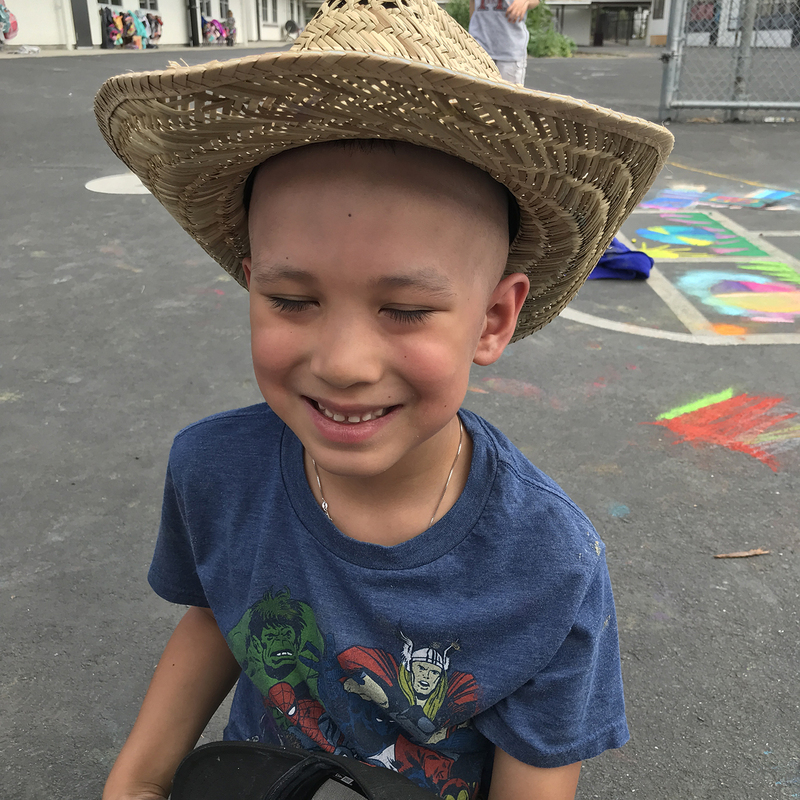 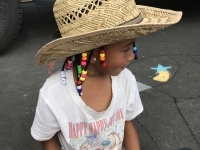 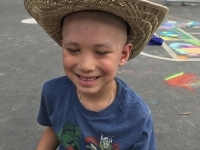 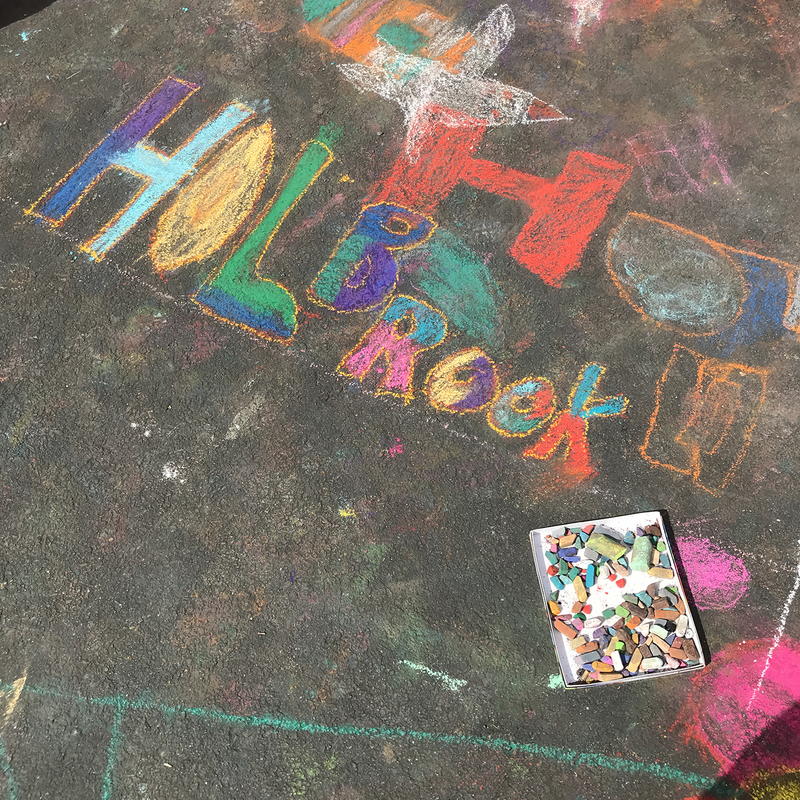 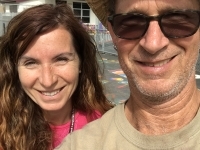 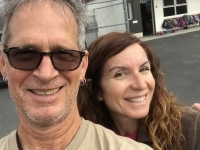 We just visited Holbrook Elementary School recently and had so much fun. 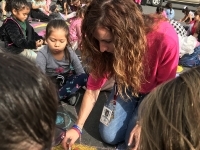 Principal Marga Marshall was great, she even ordered out for pizza at lunch. 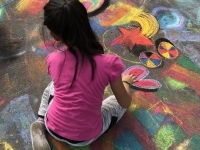 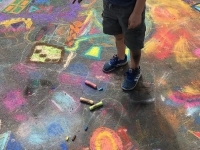 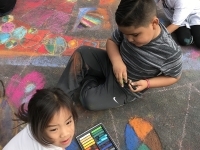 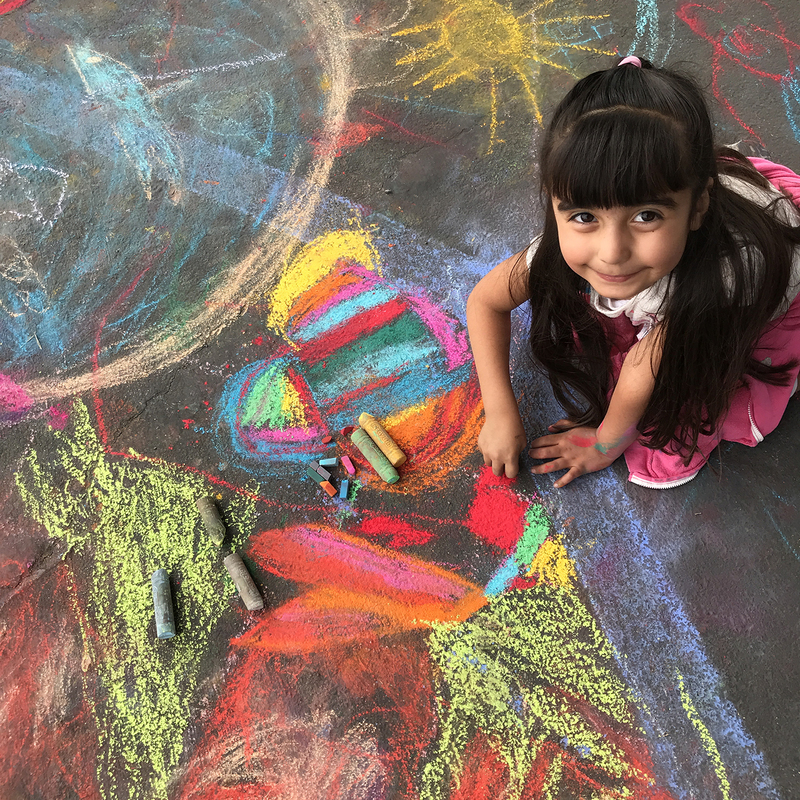 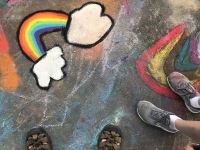 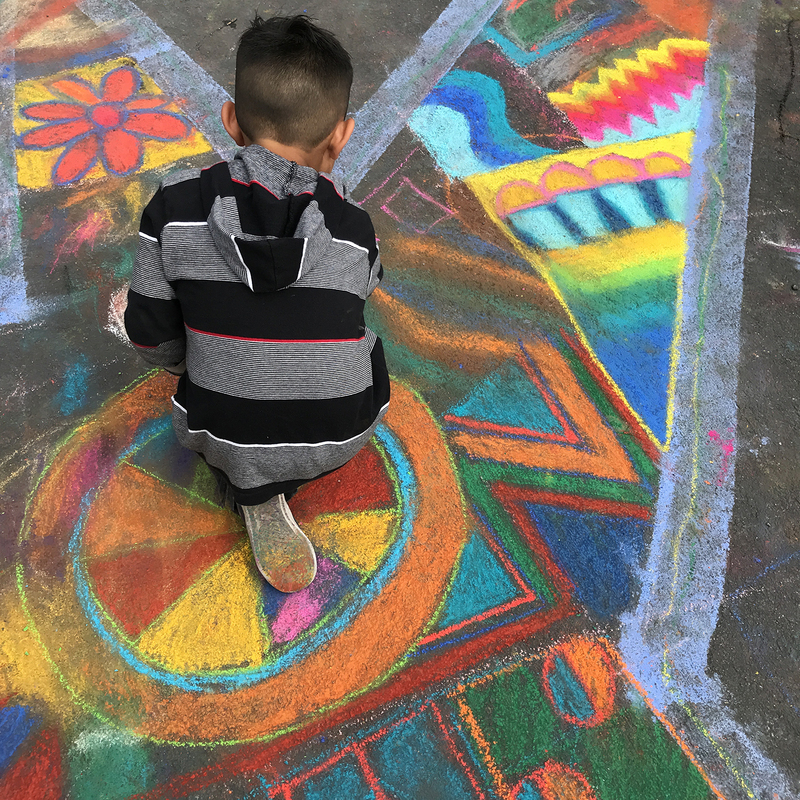 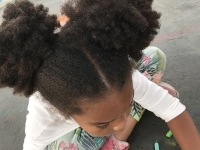 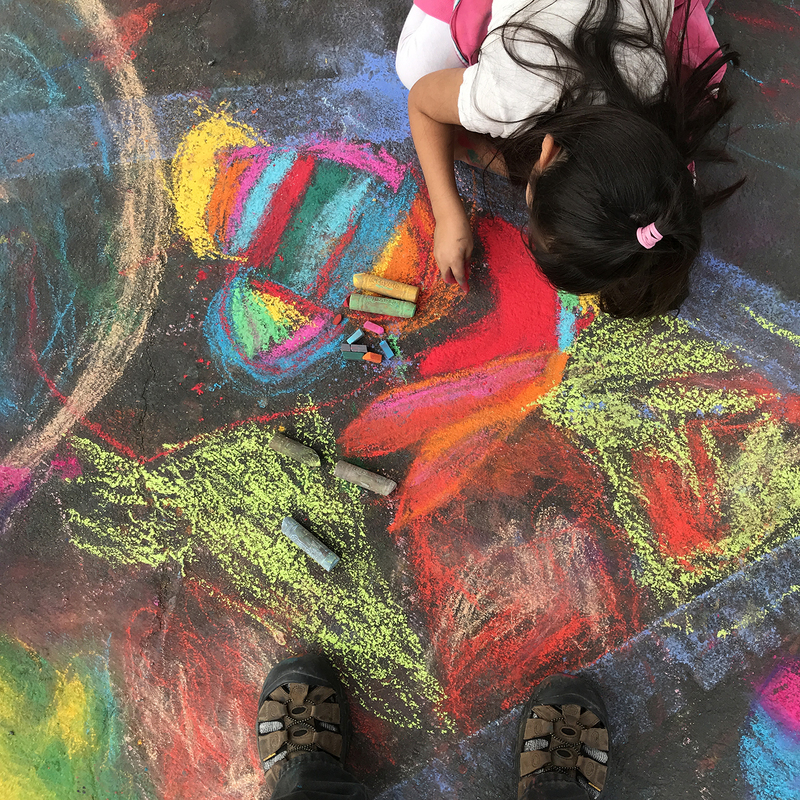 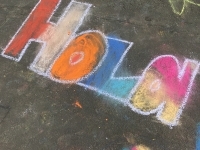 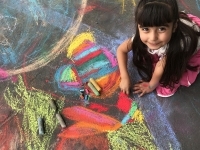 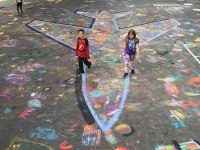 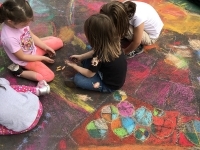 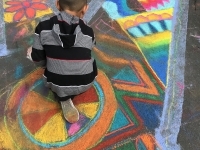 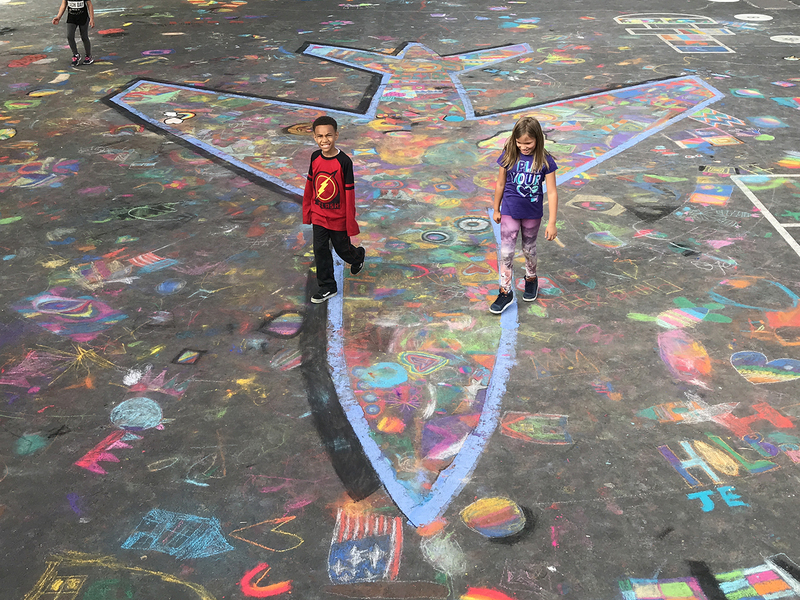 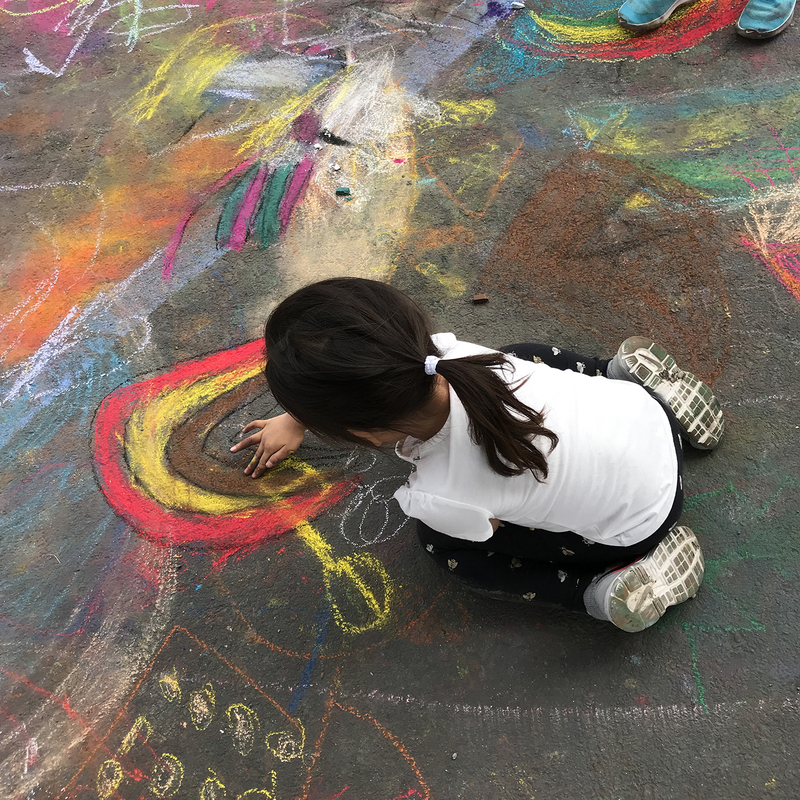 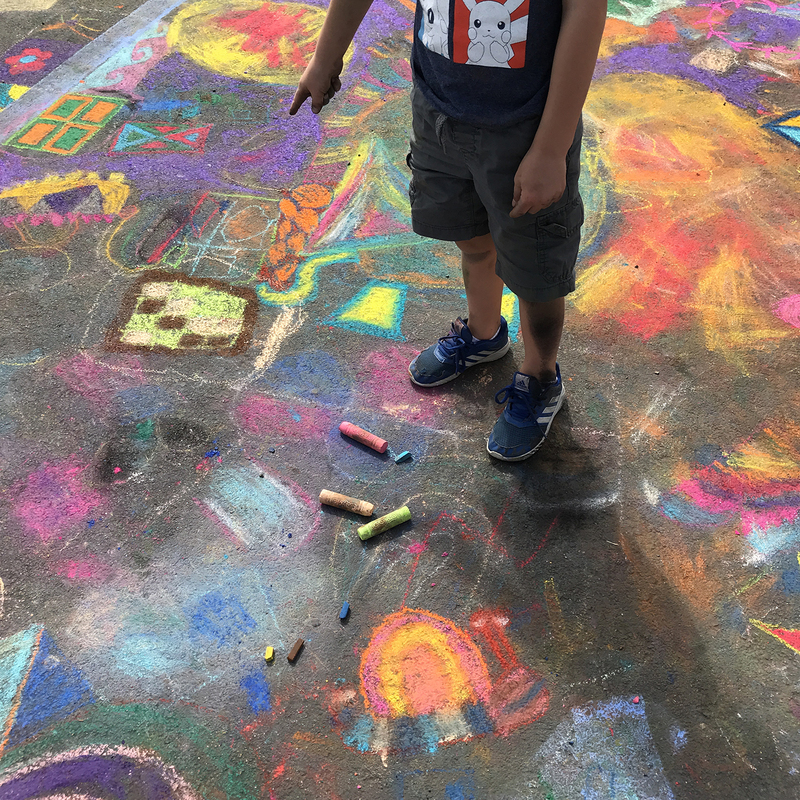 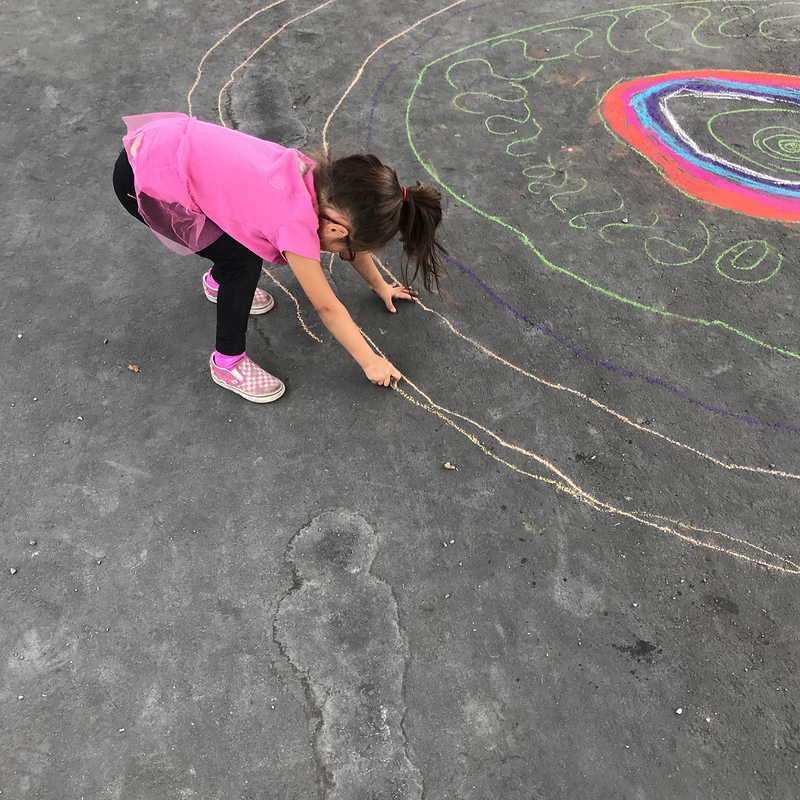 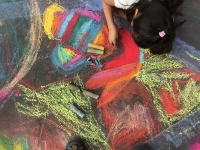 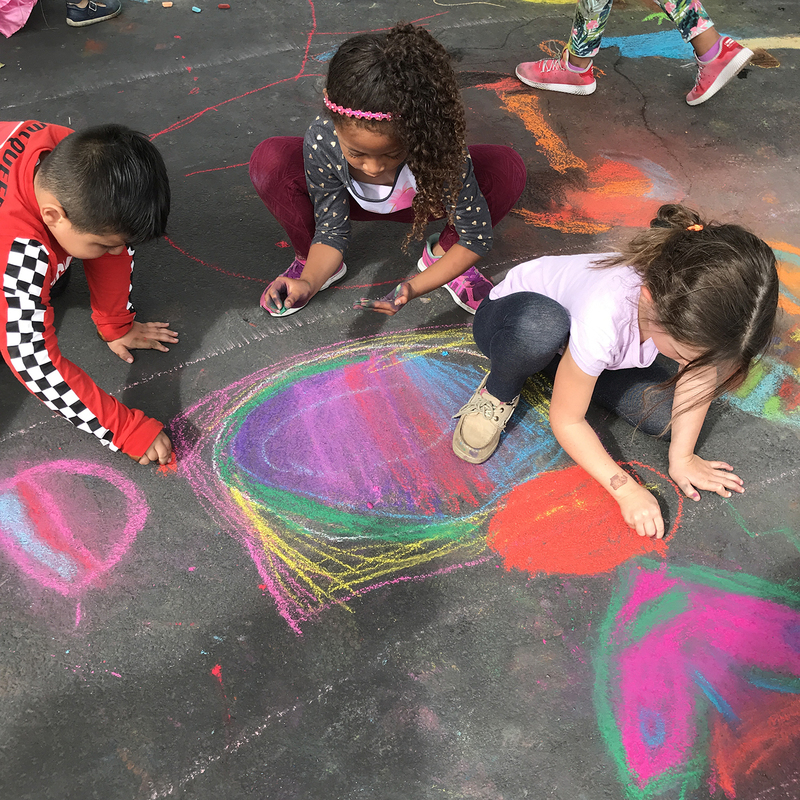 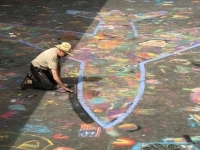 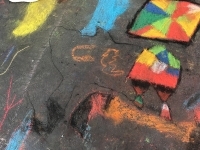 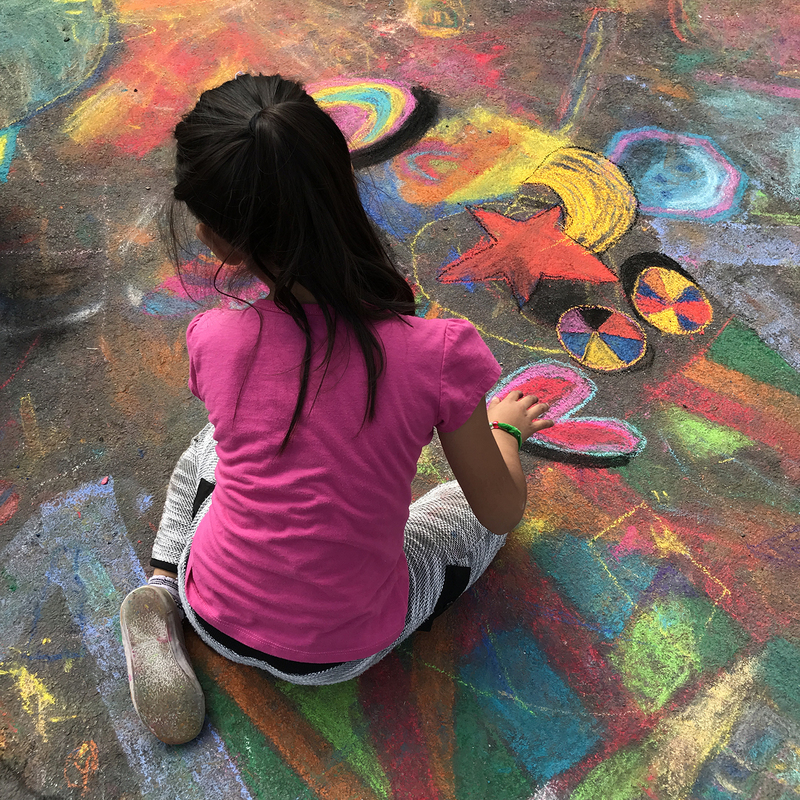 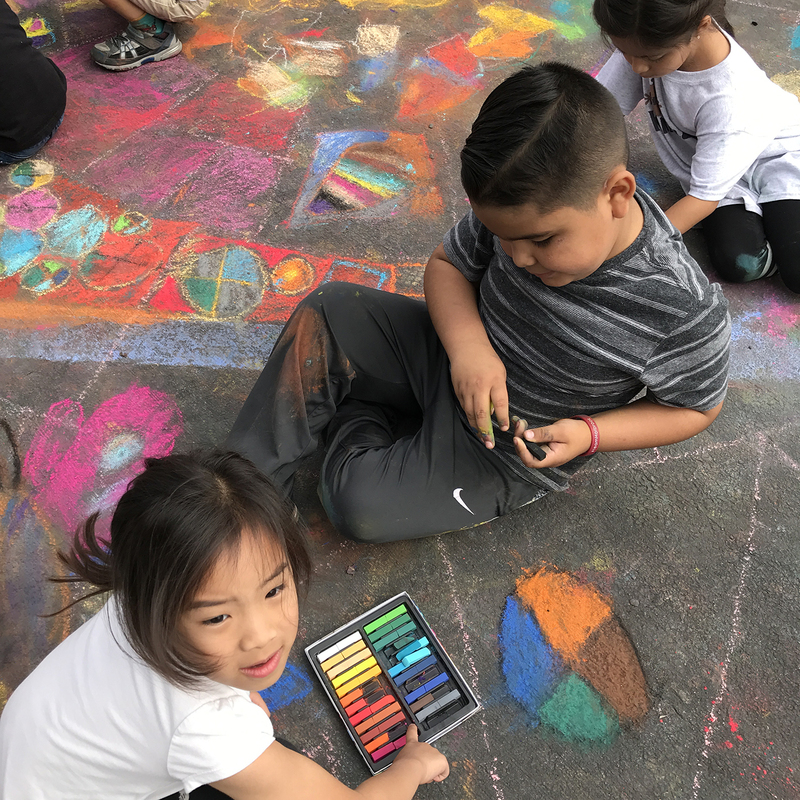 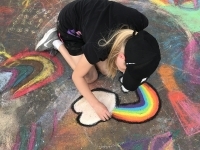 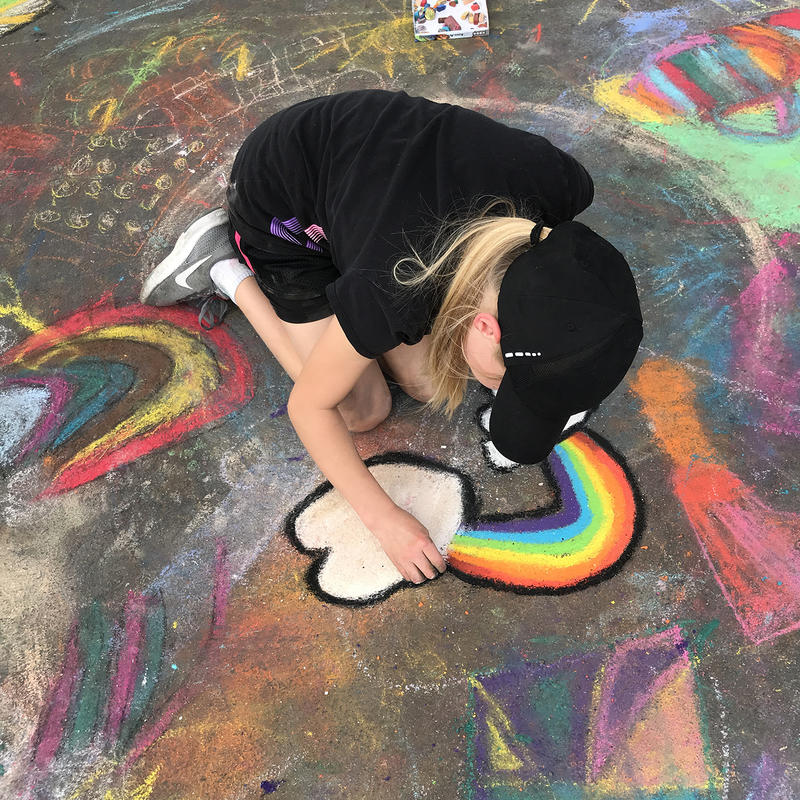 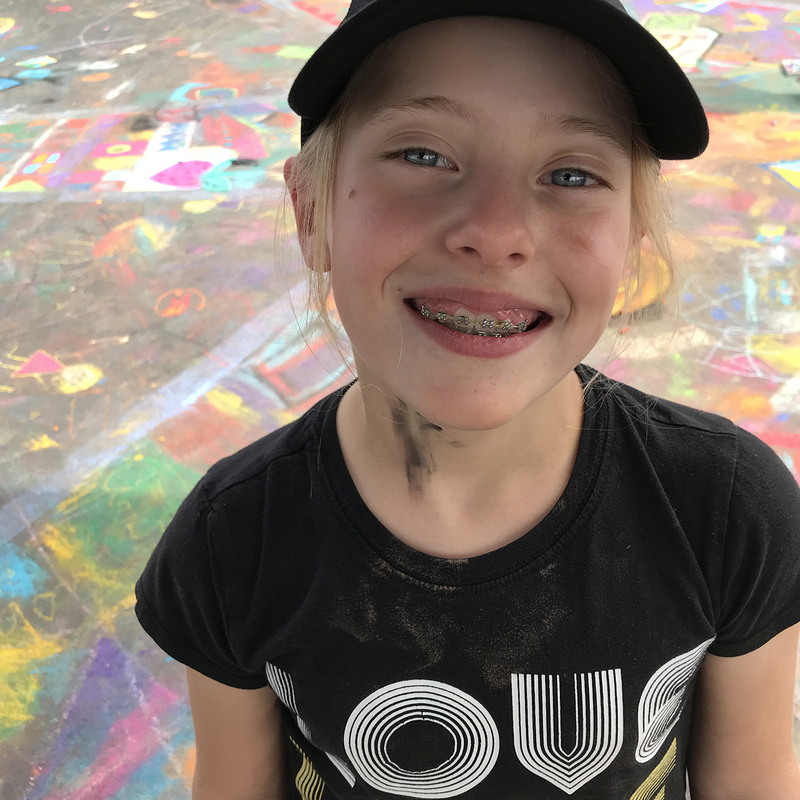 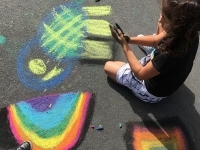 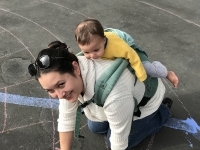 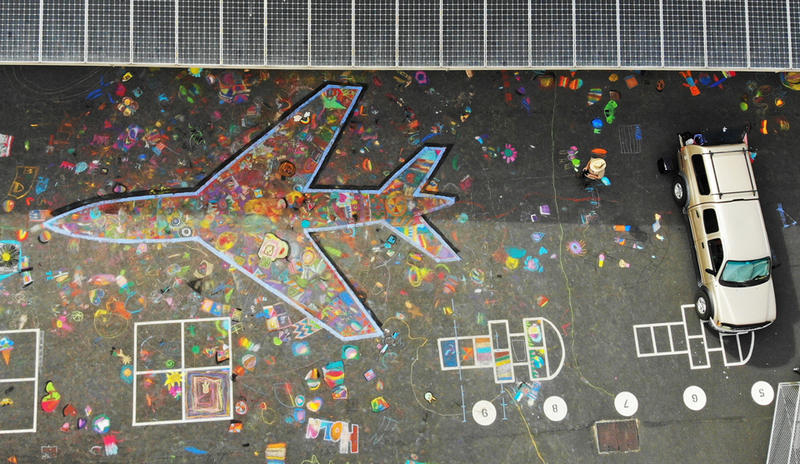 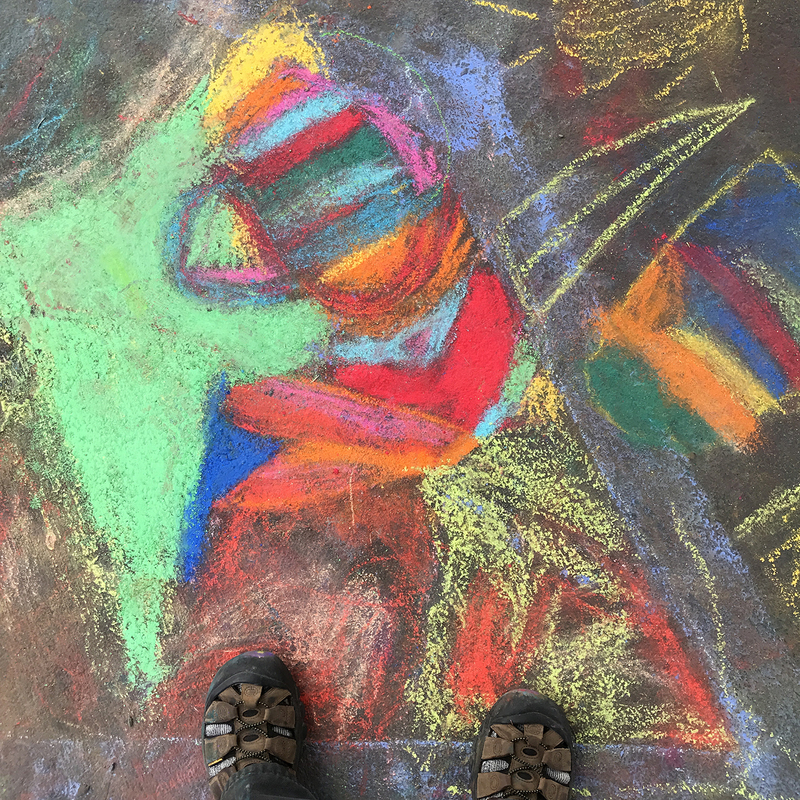 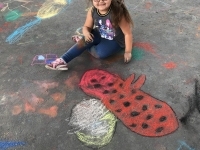 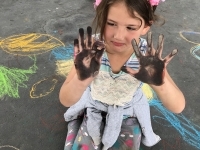 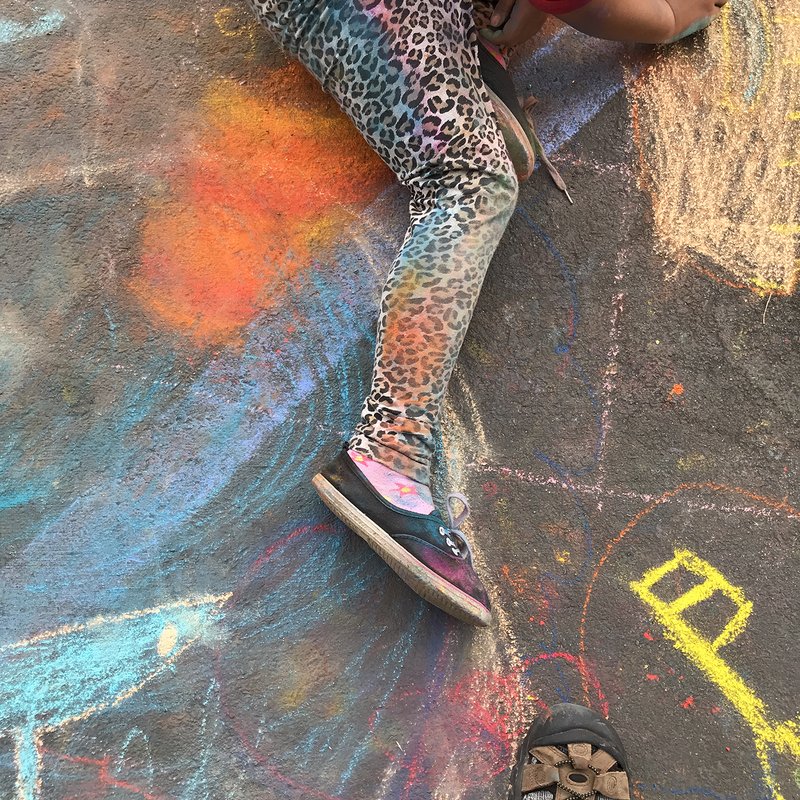 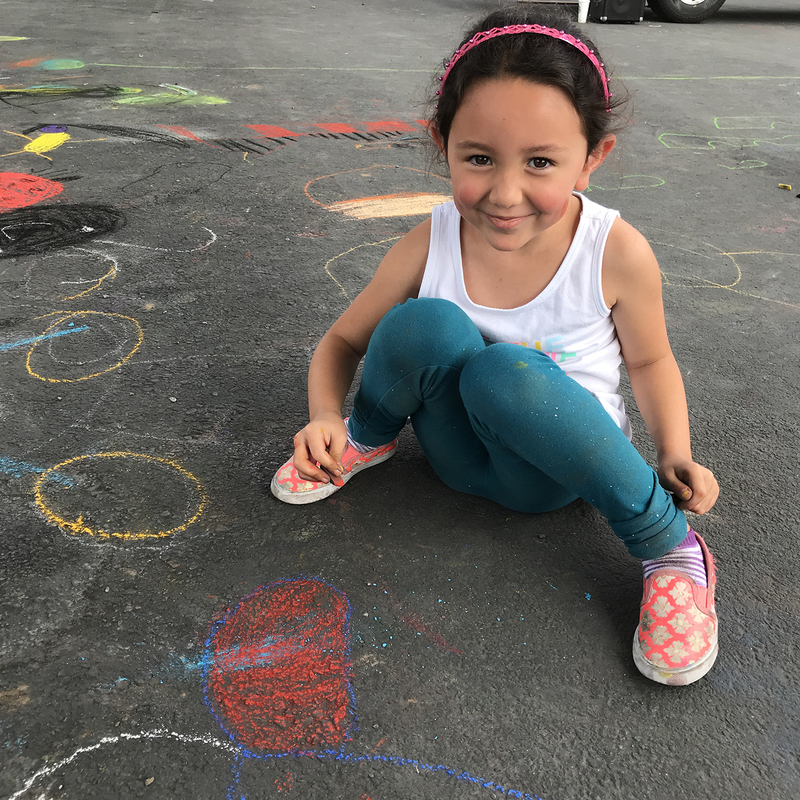 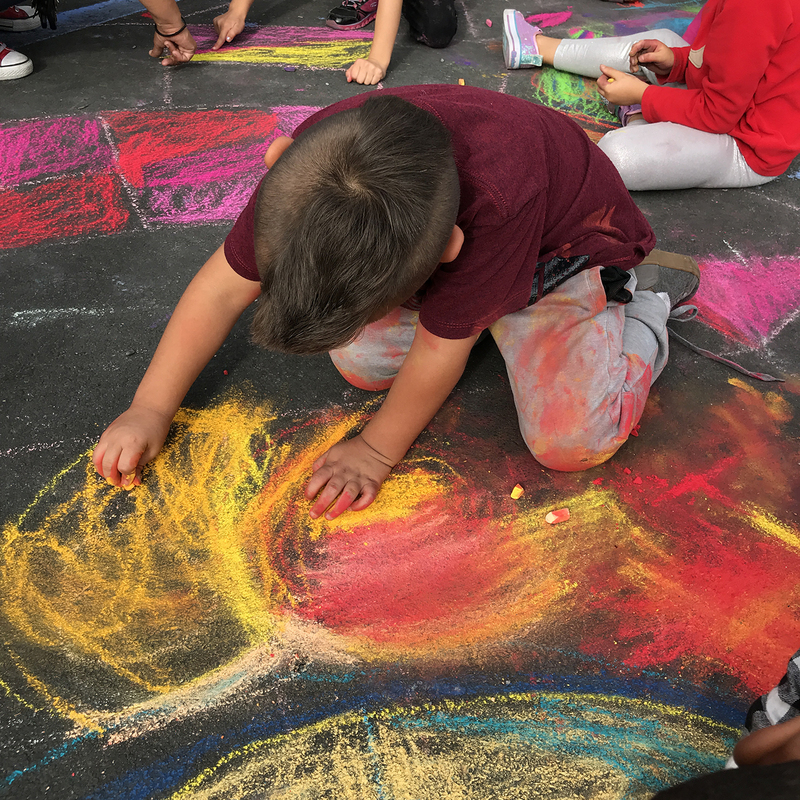 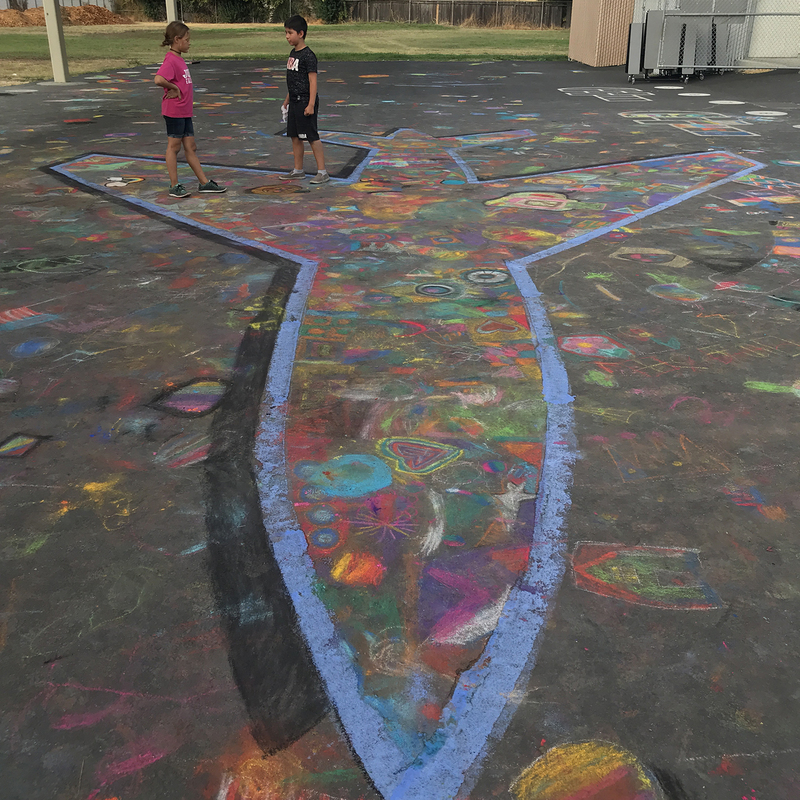 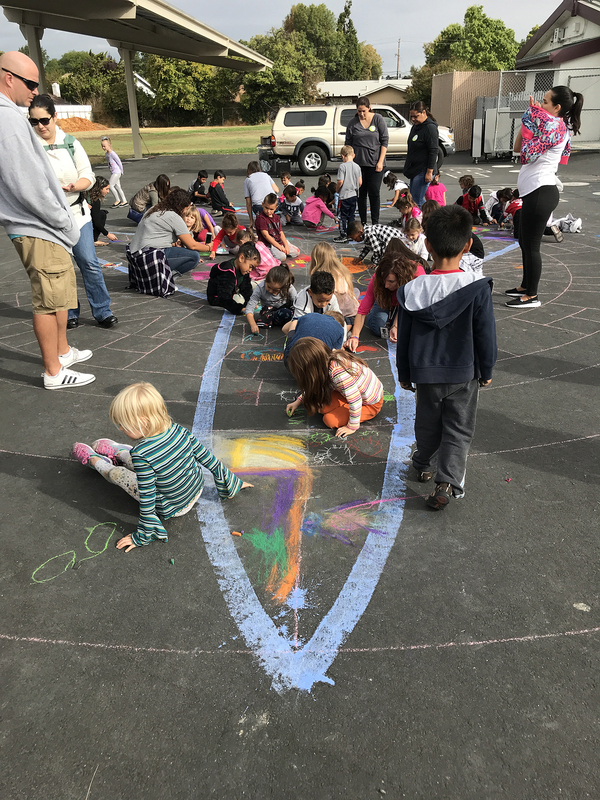 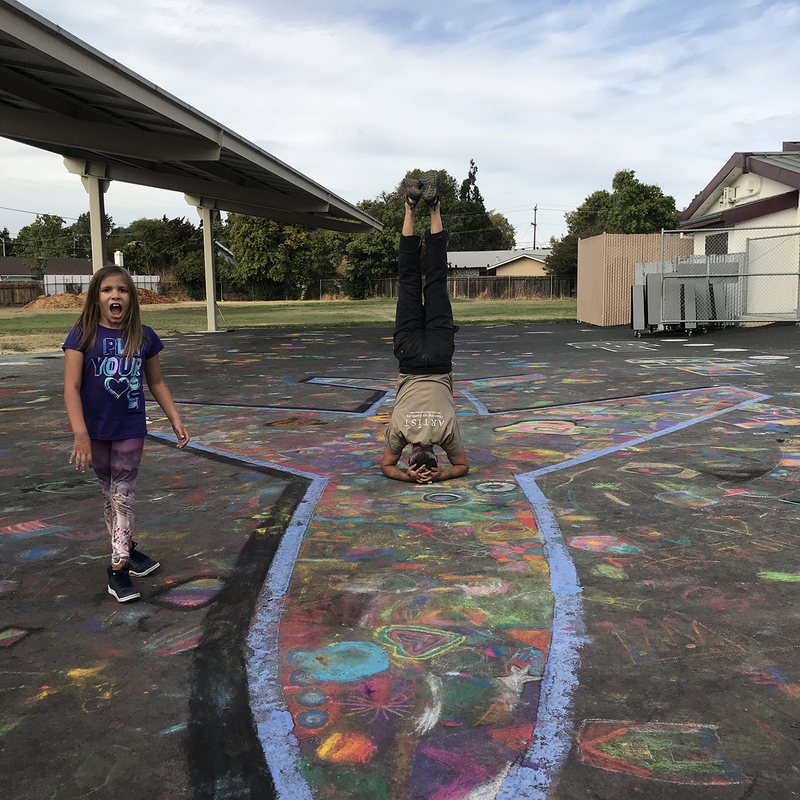 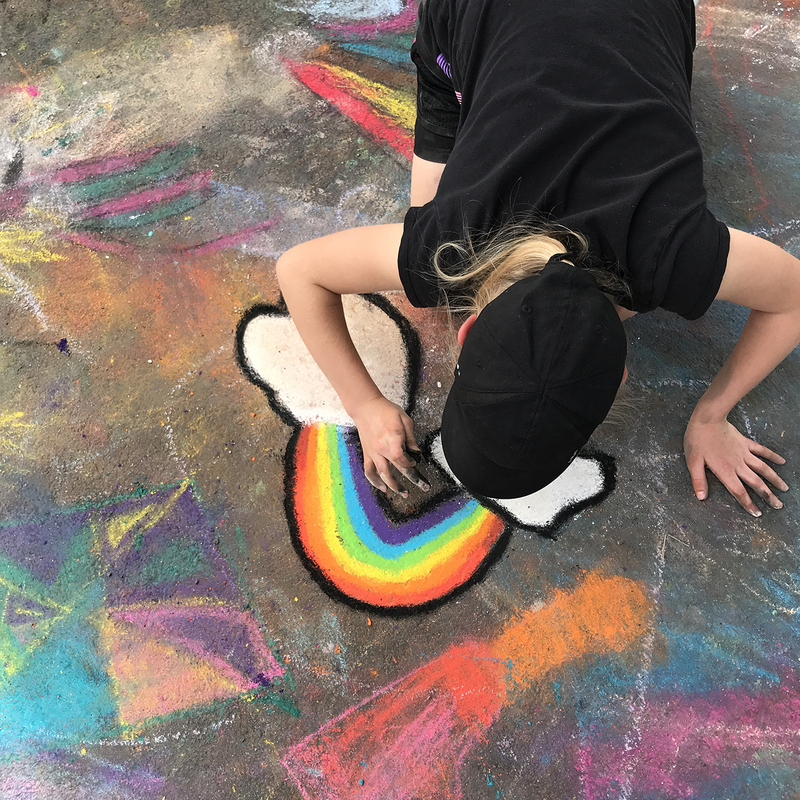 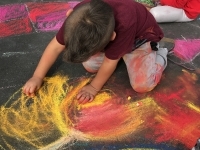 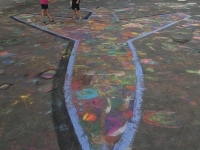 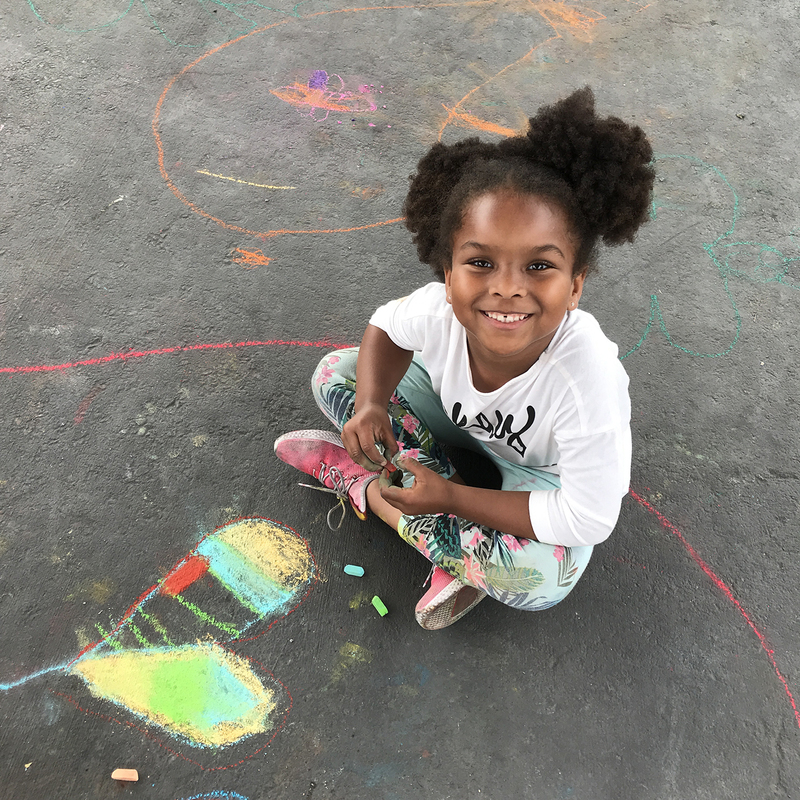 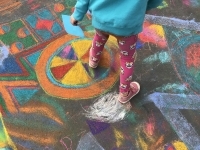 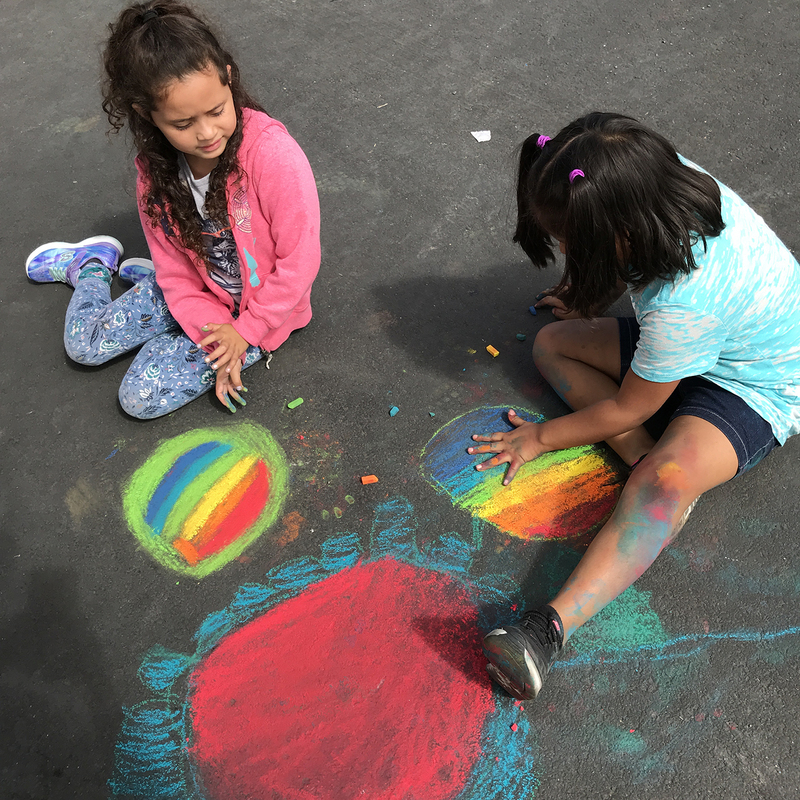 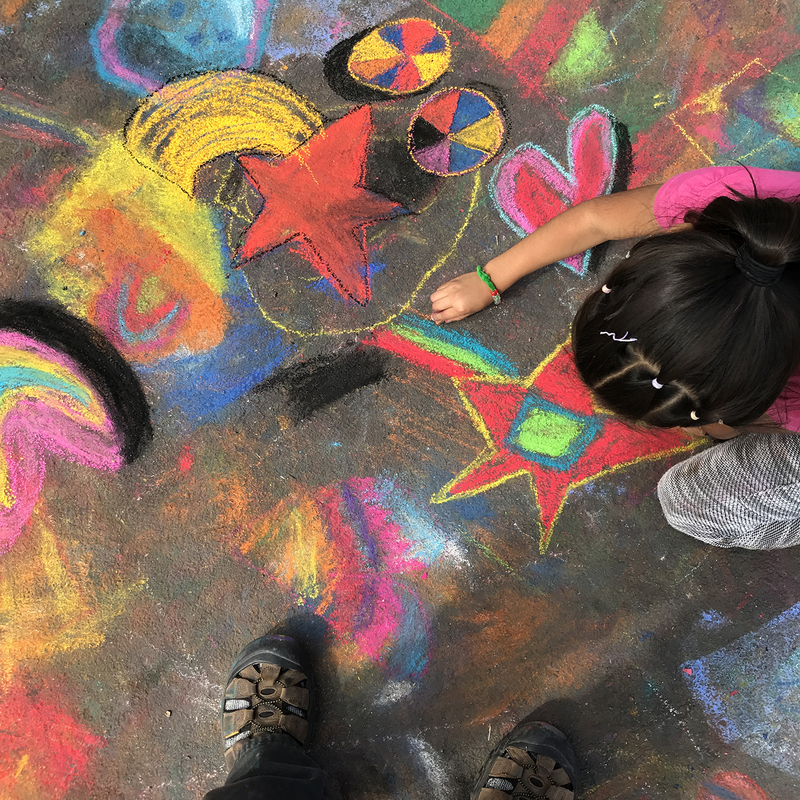 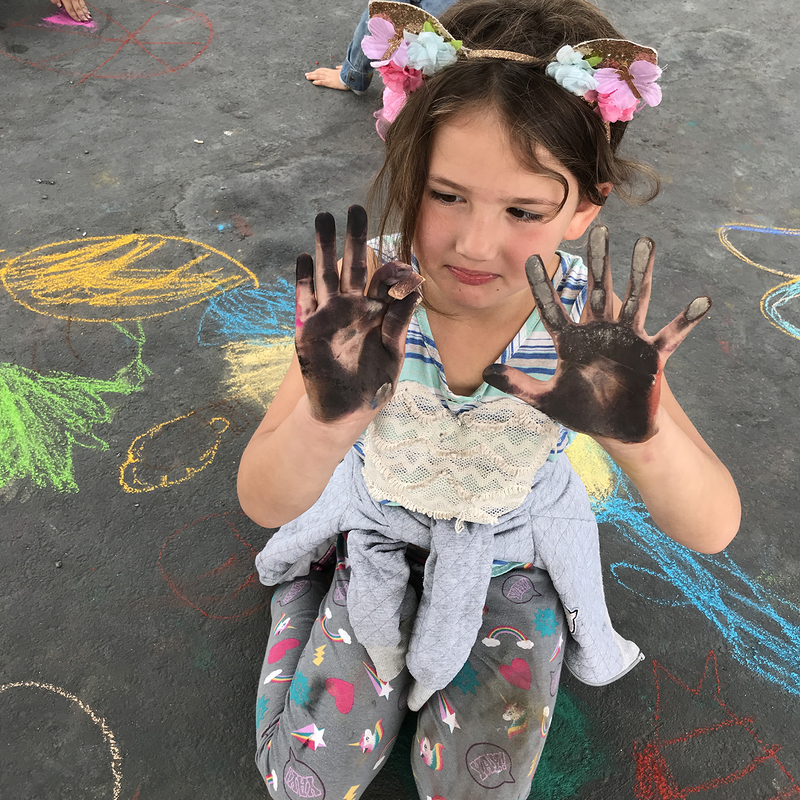 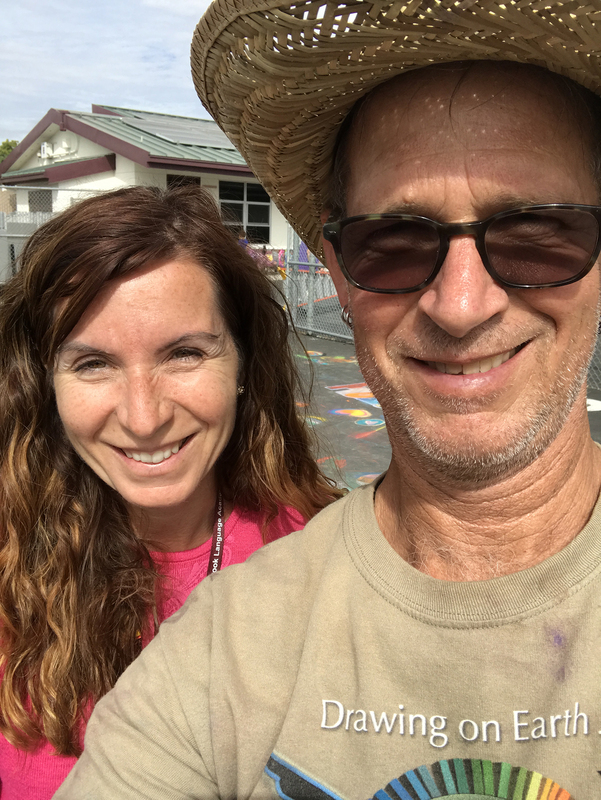 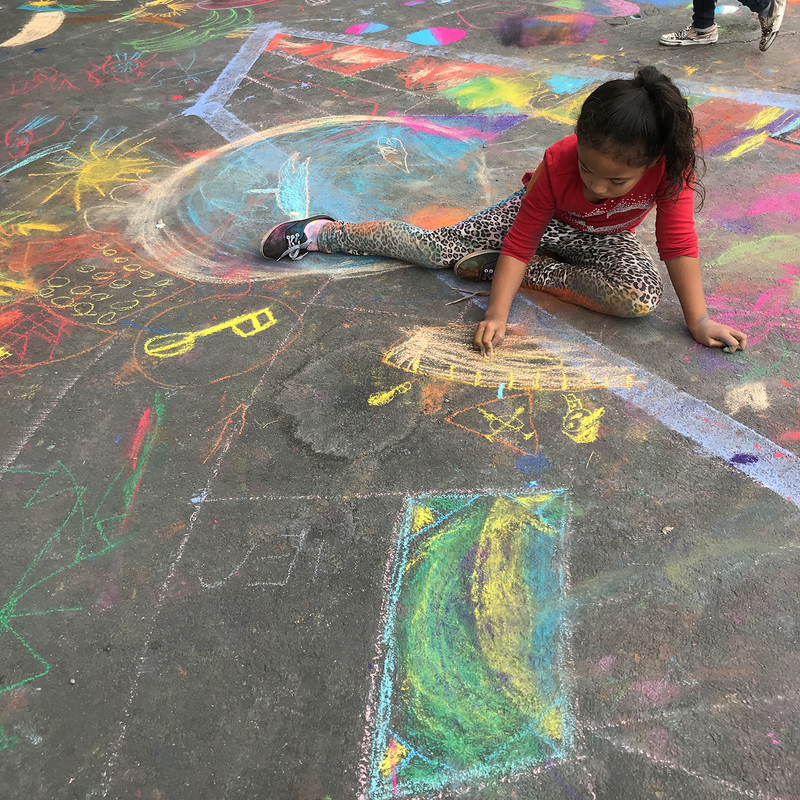 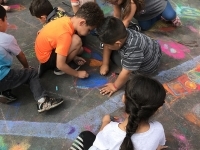 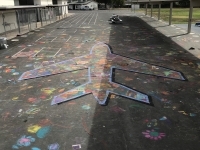 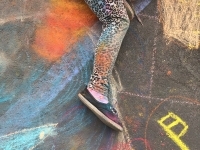 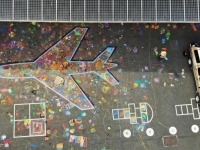 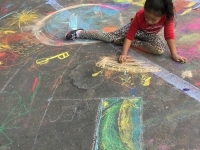 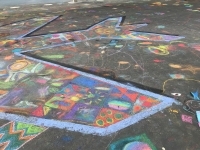 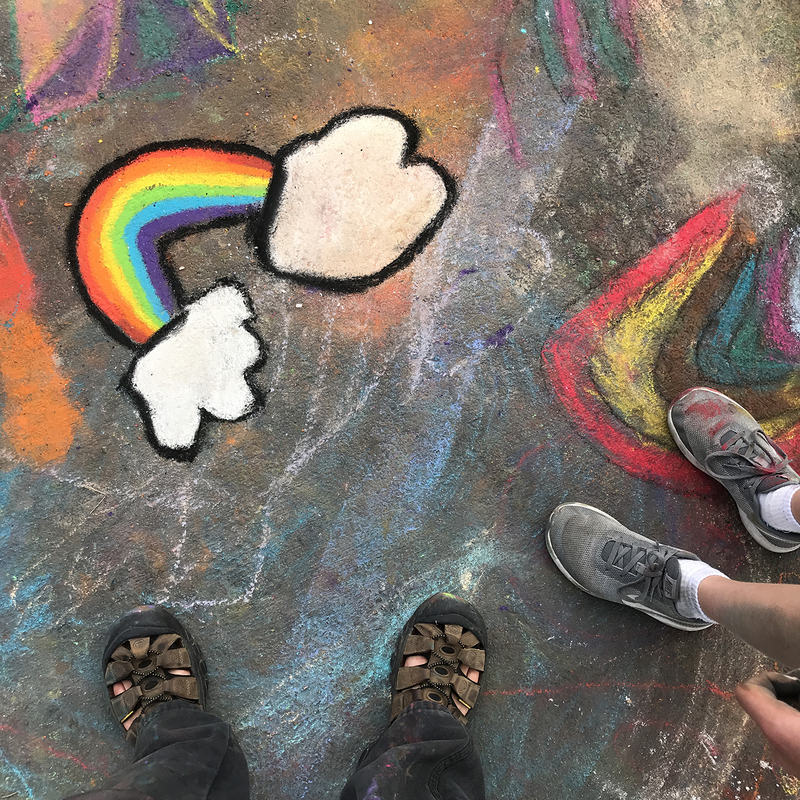 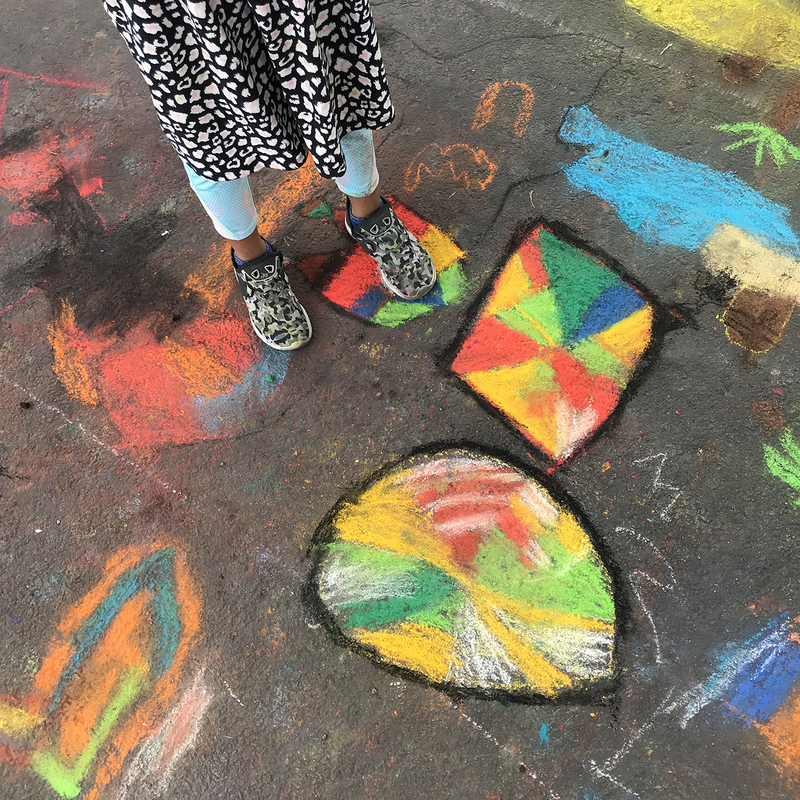 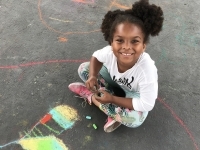 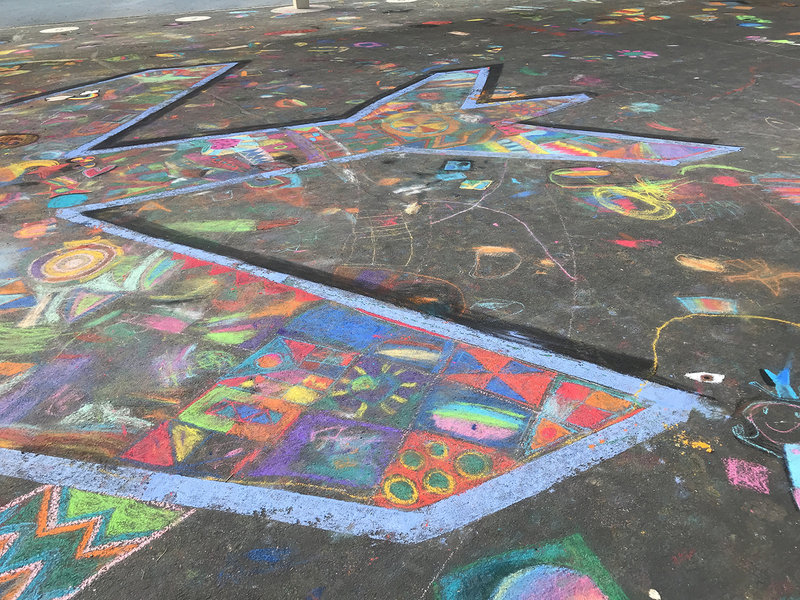 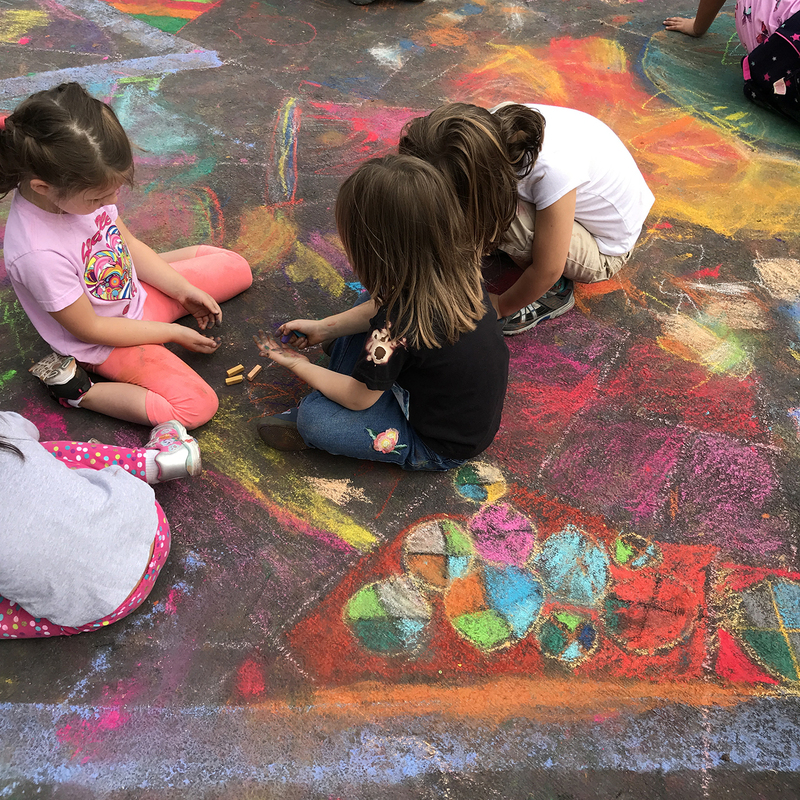 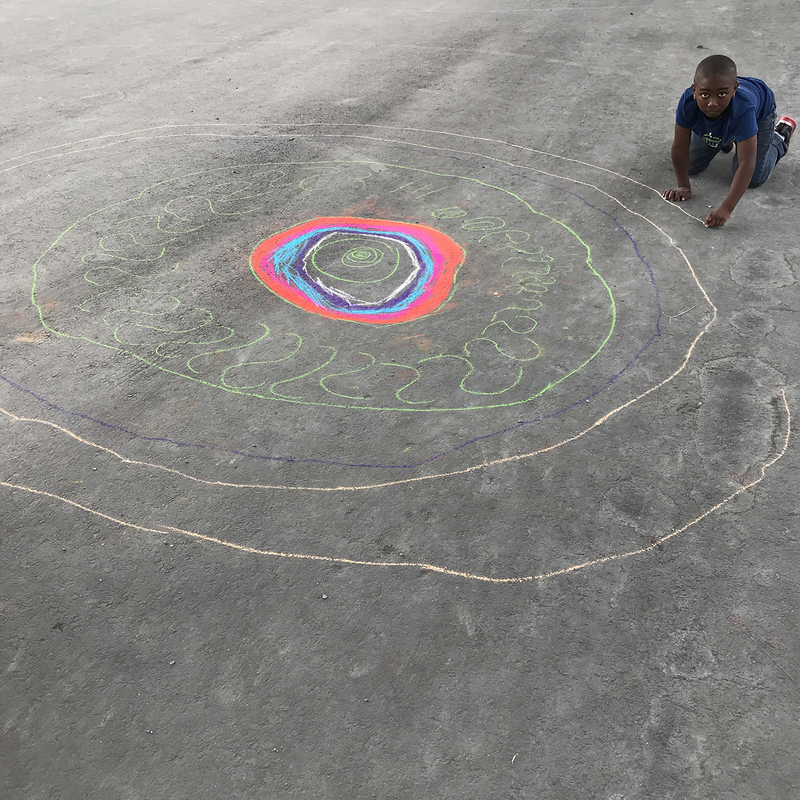 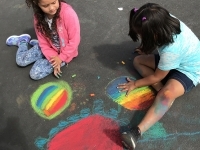 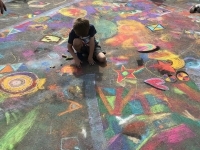 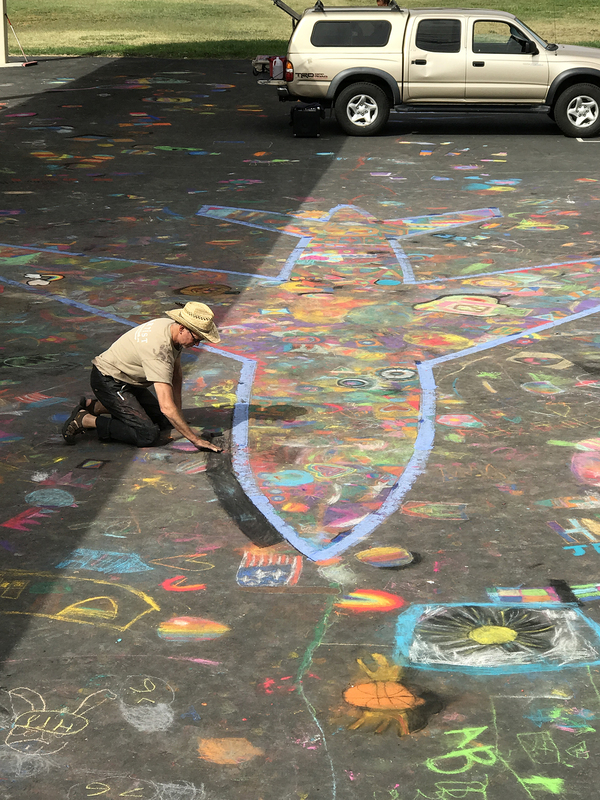 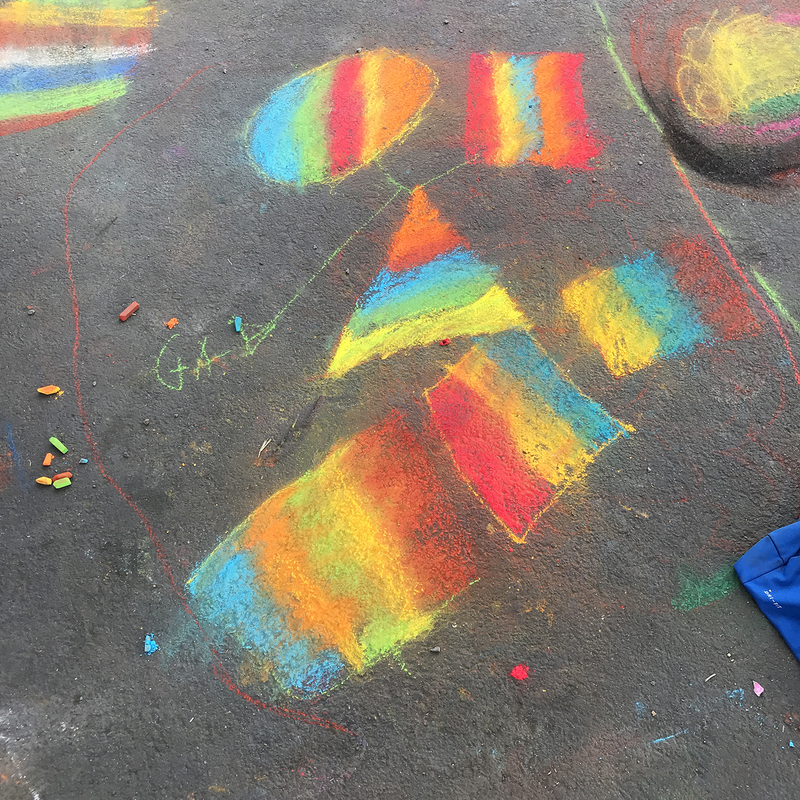 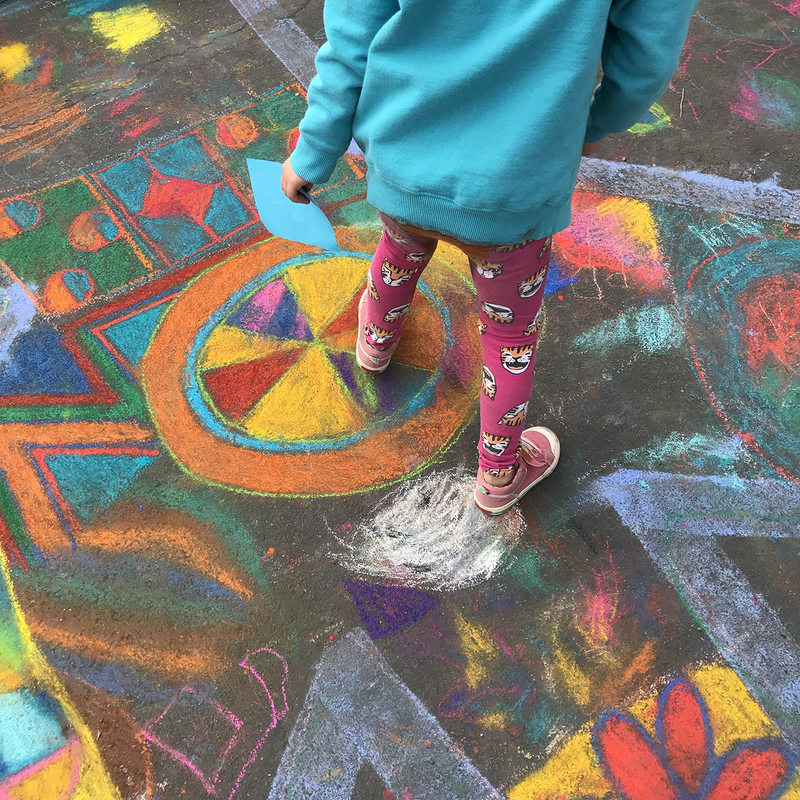 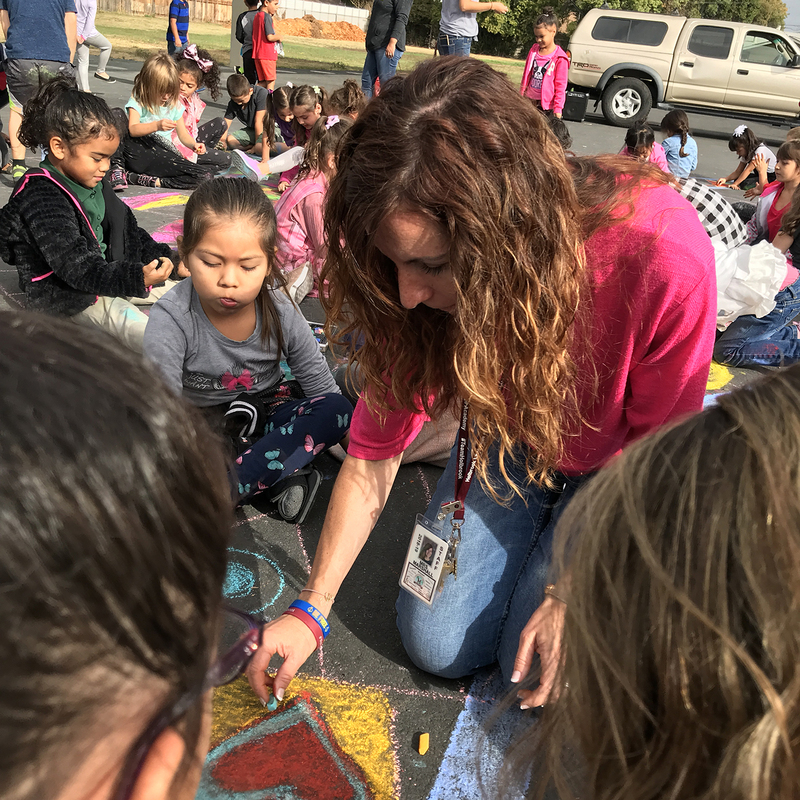 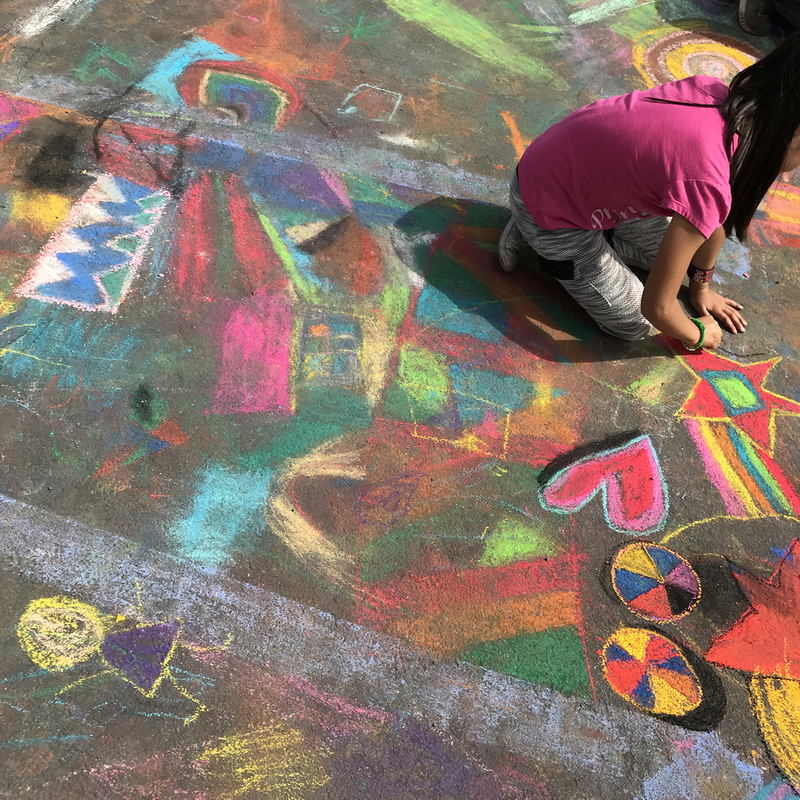 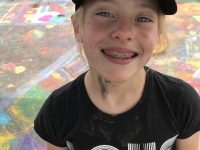 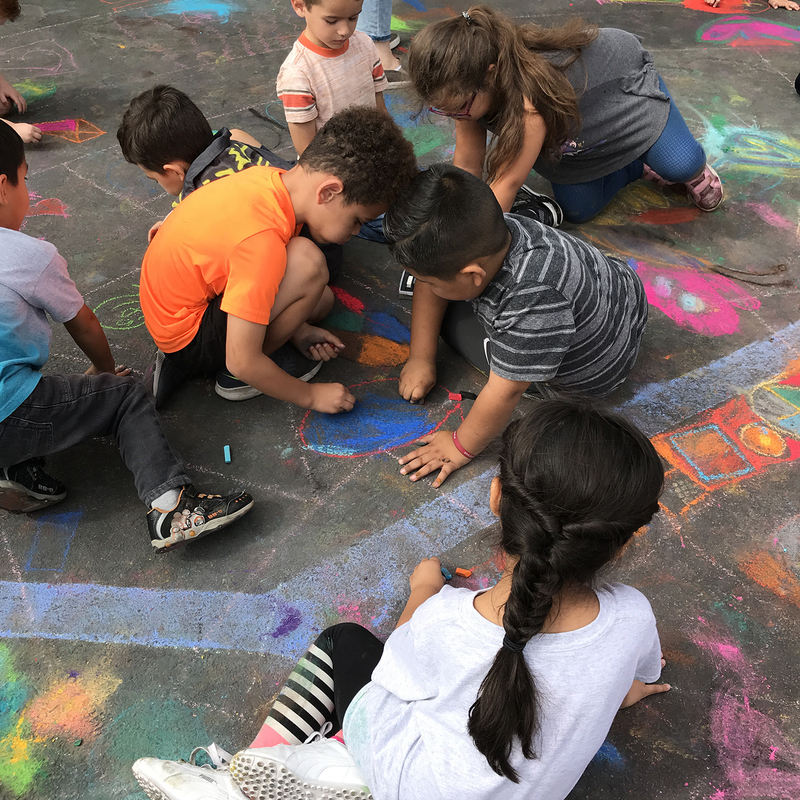 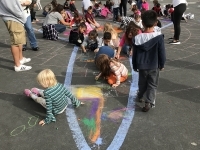 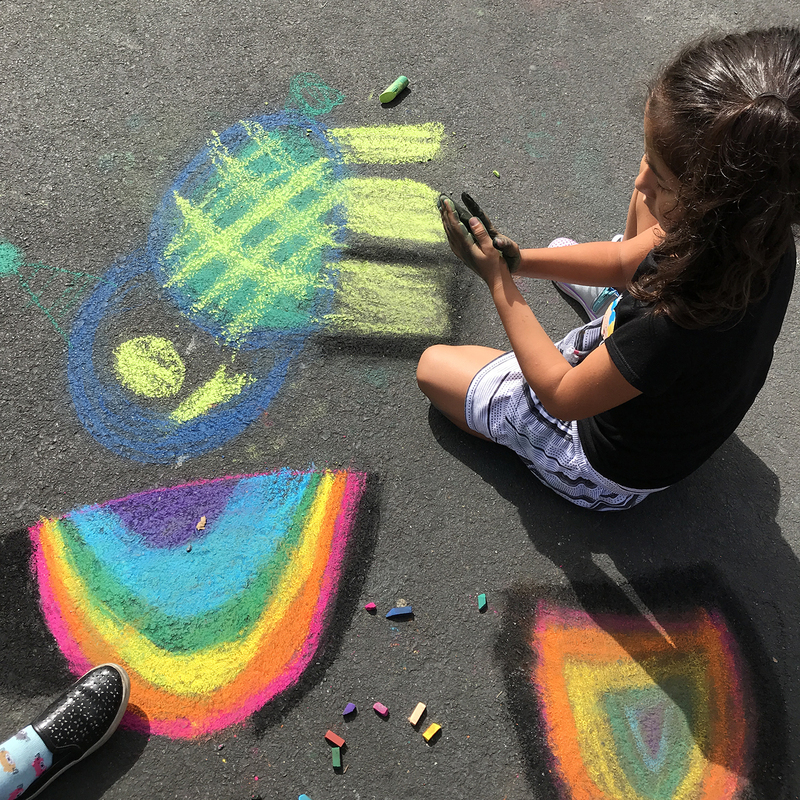 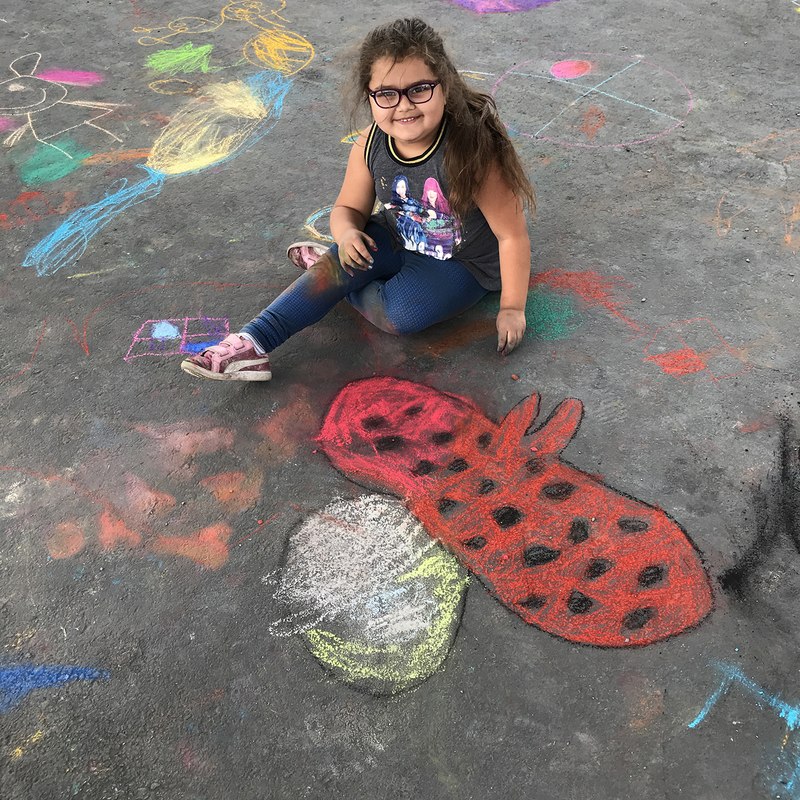 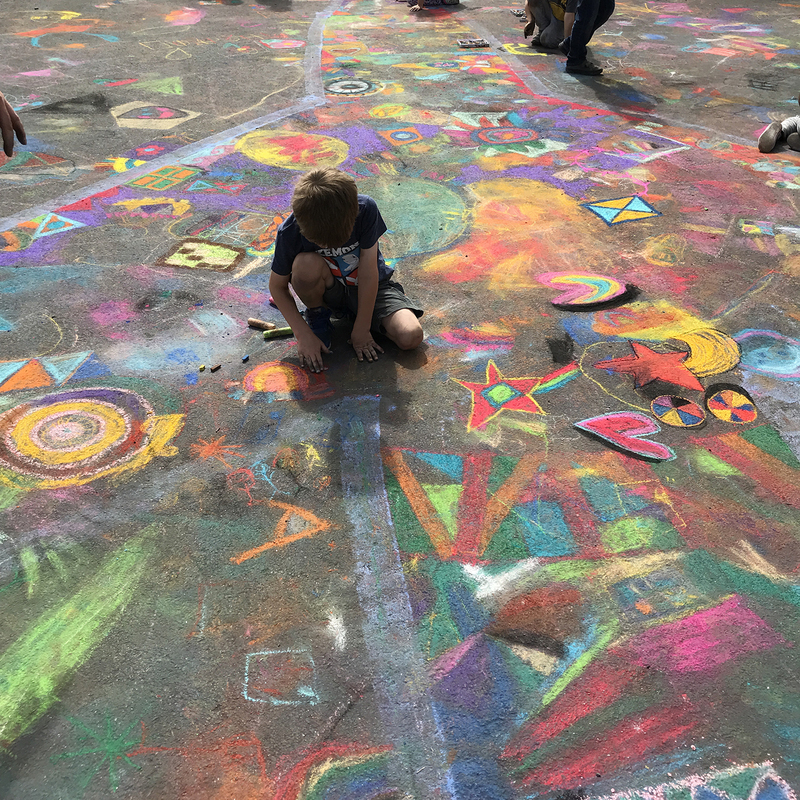 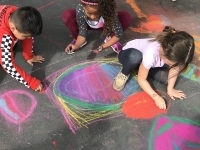 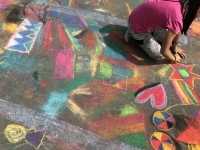 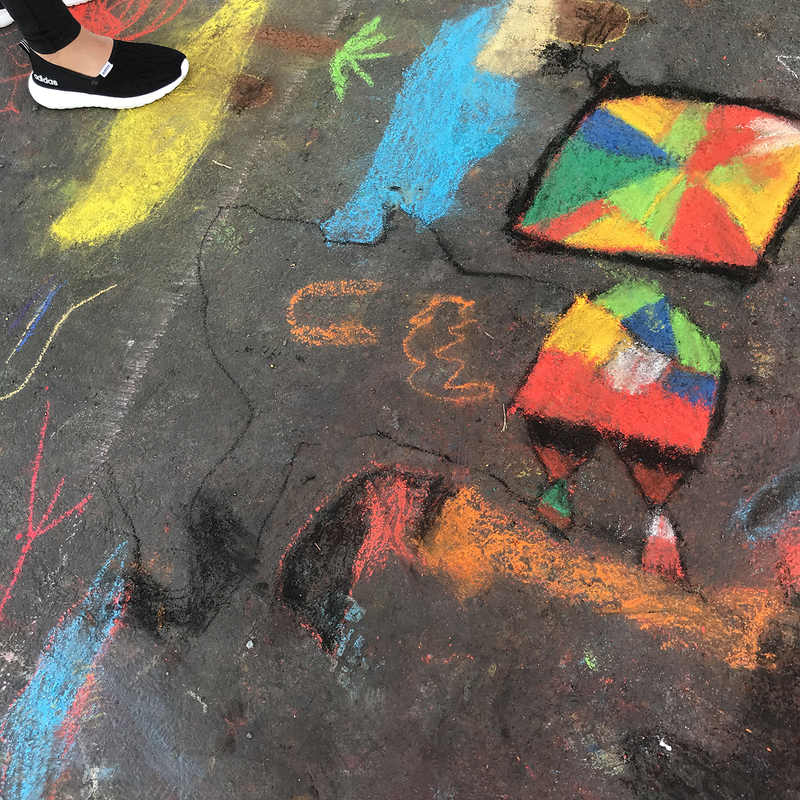 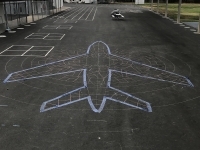 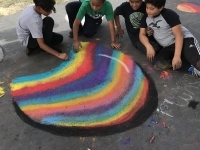 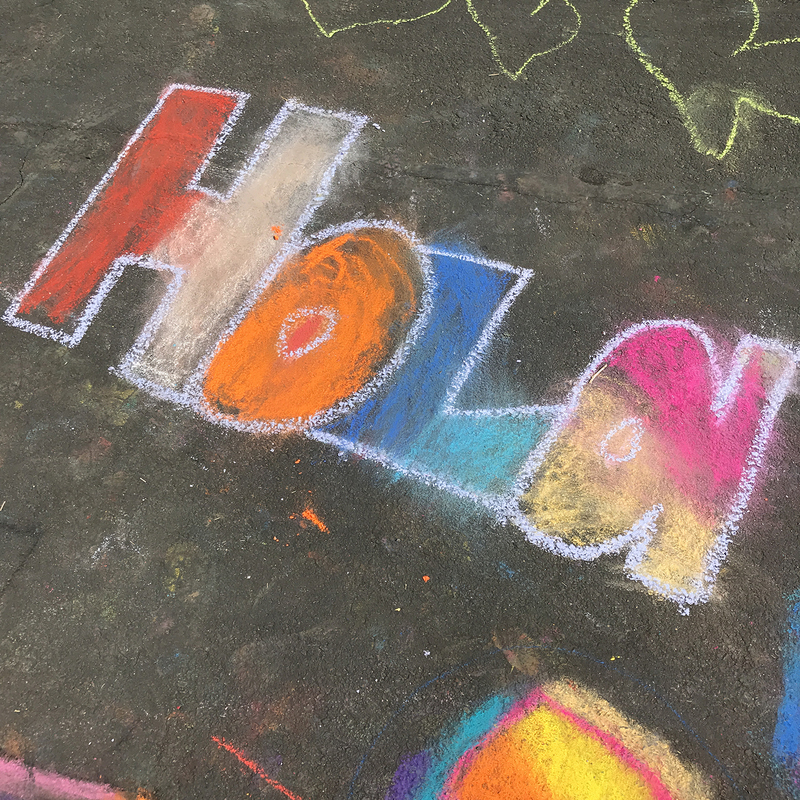 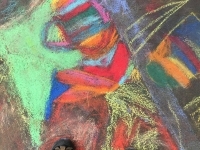 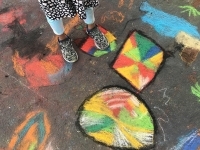 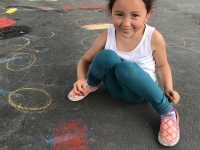 Drawing on Earth has been invited to chalk draw on 30 elementary school playgrounds for this school year. 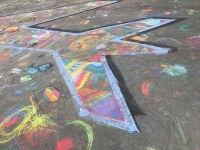 The project is funded by the Mt. 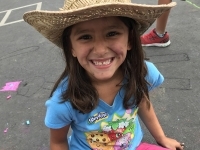 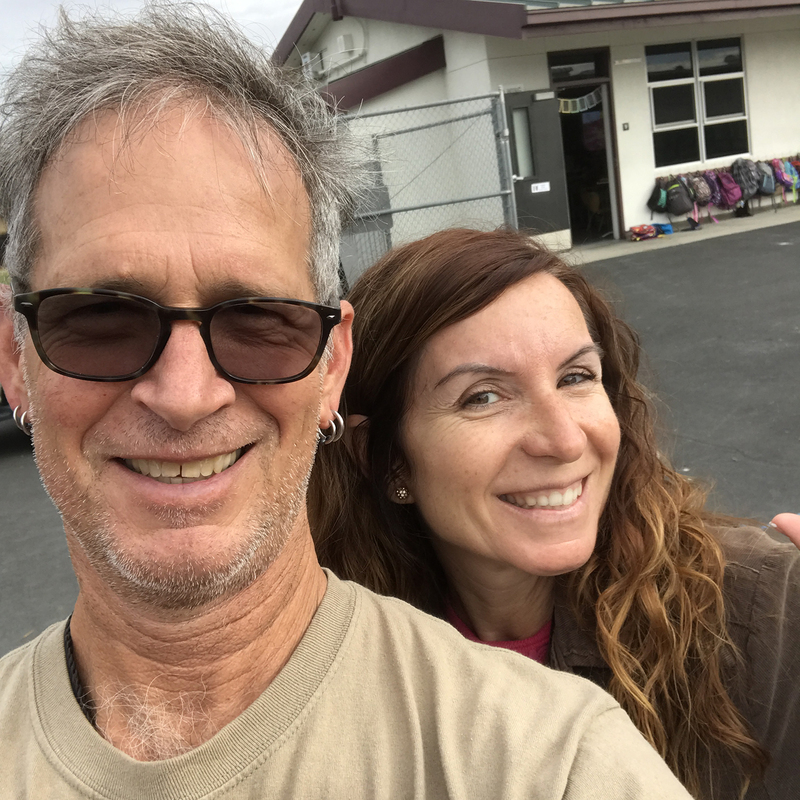 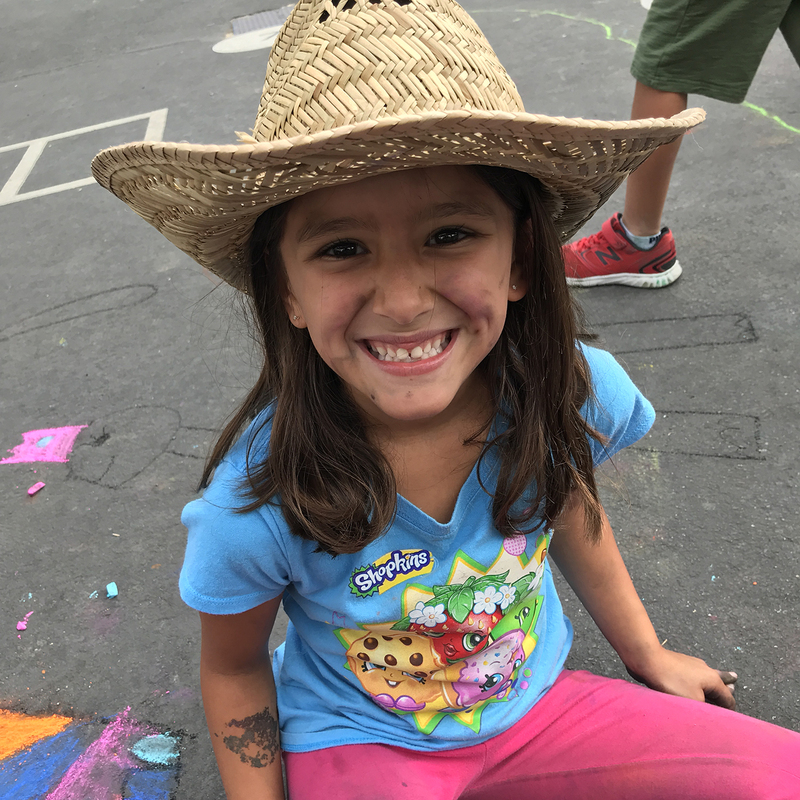 Diablo Unified School District Education Foundation – thank you so much! 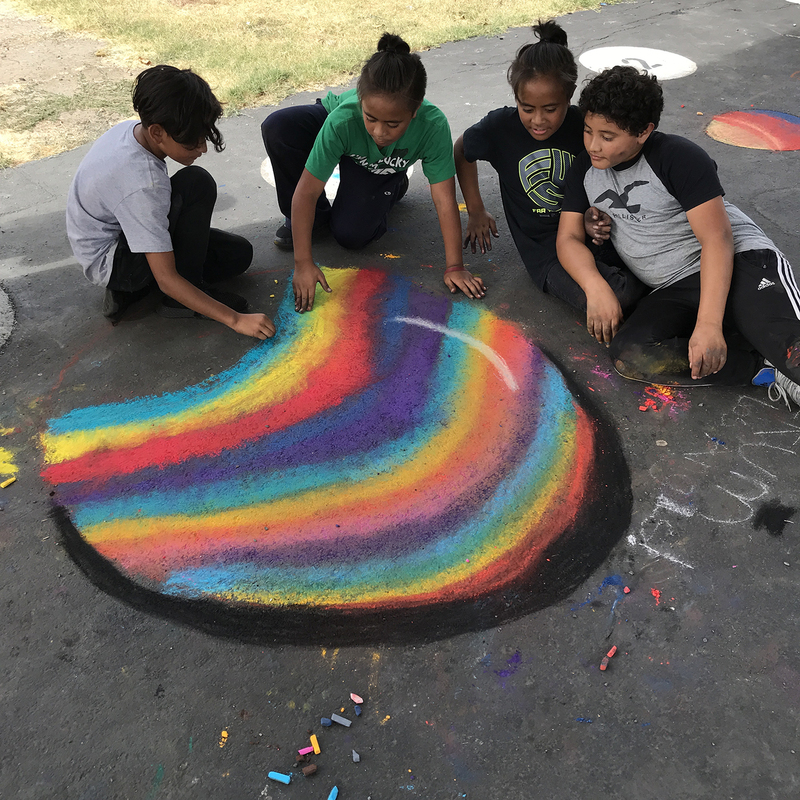 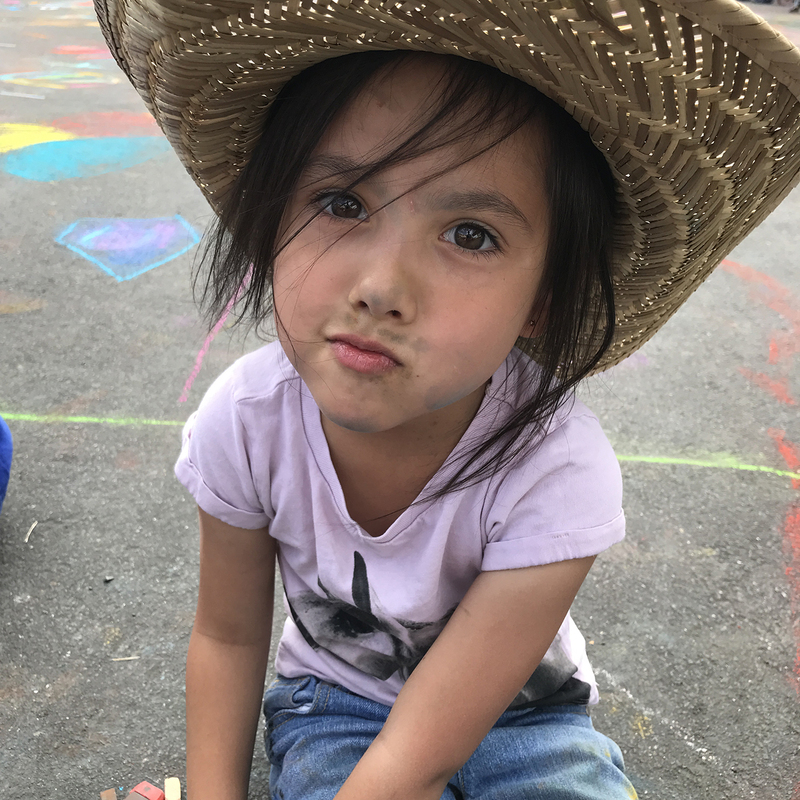 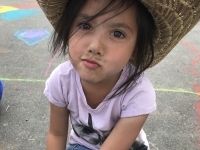 A beautiful alignment of values and commitments with Drawing on Earth – investing creatively and wisely into our youth and community for a better future for everyone. 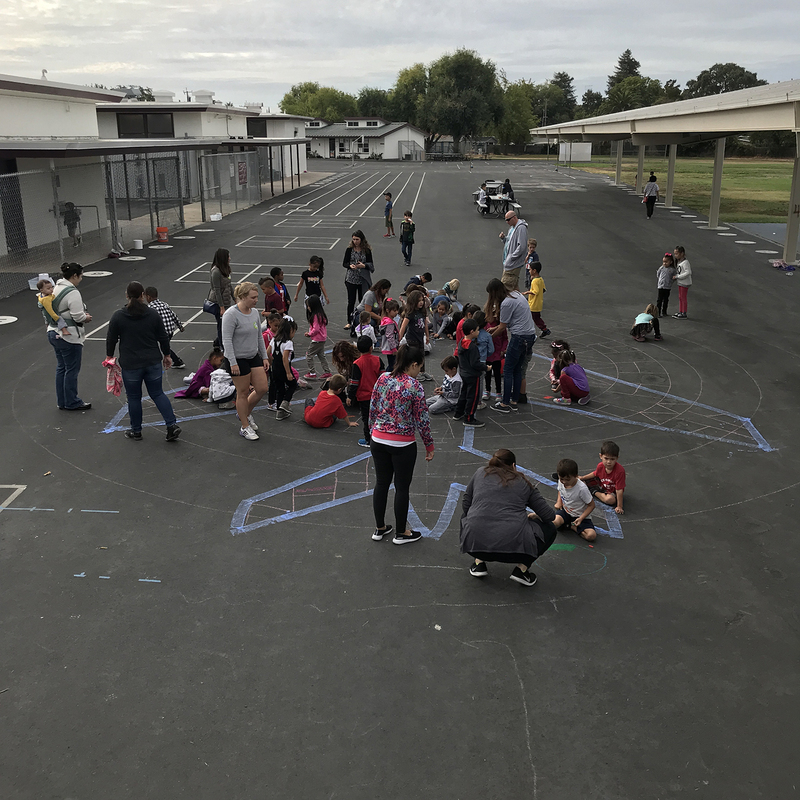 And we got a chance to try out our new camera drone – a Mavic Air. 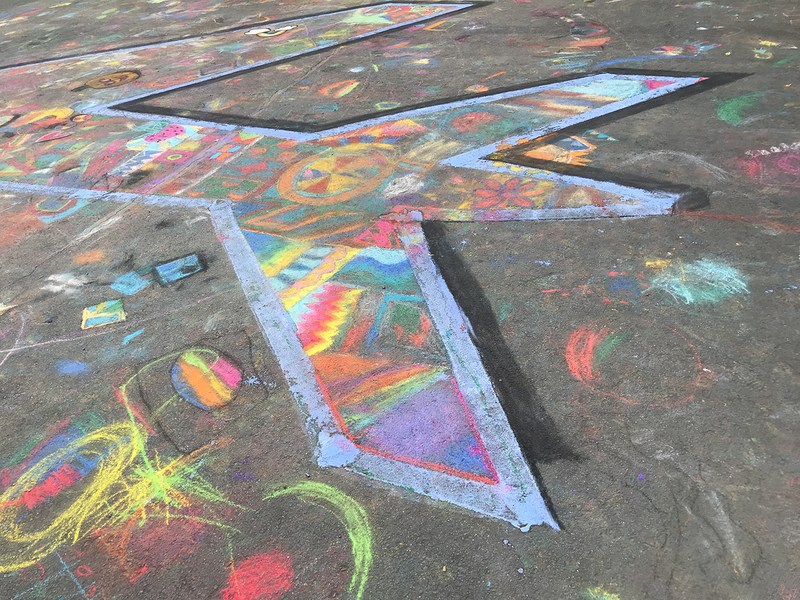 We’ll post videos soon – so much fun. 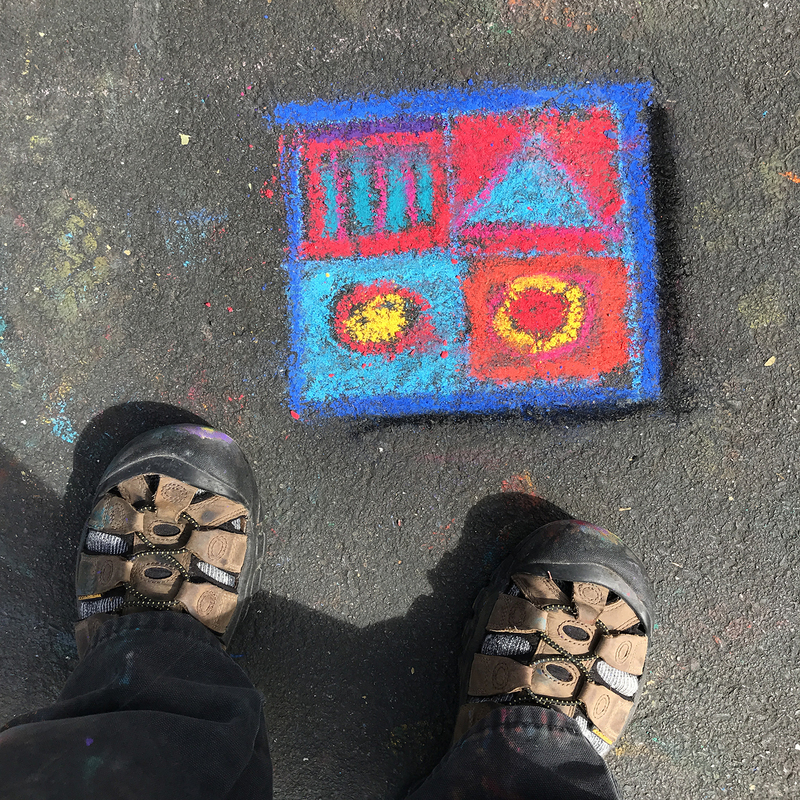 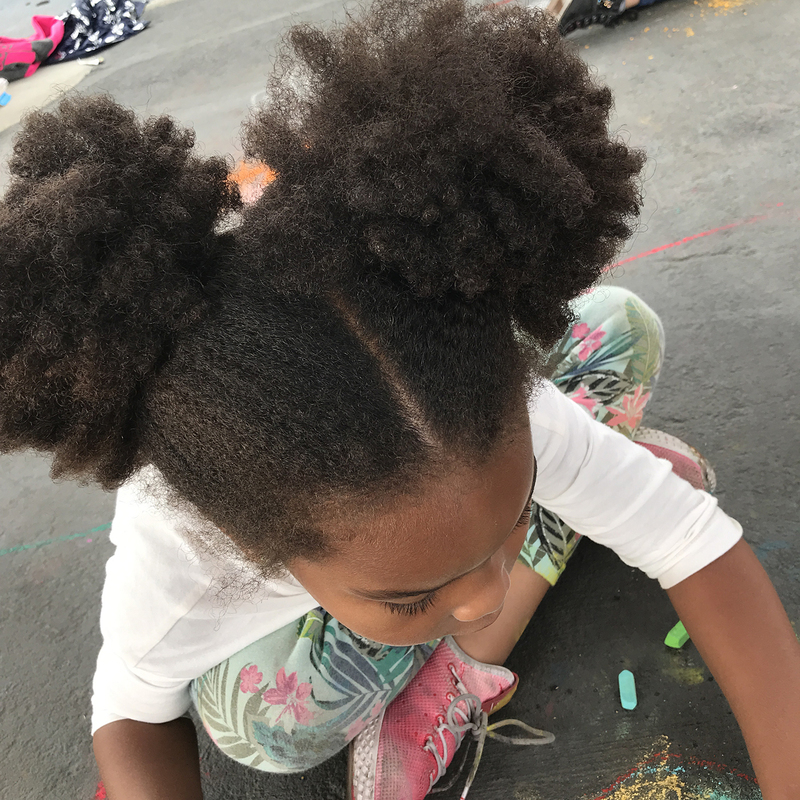 For the Teachers, Artists, and Parents interested in doing this work. 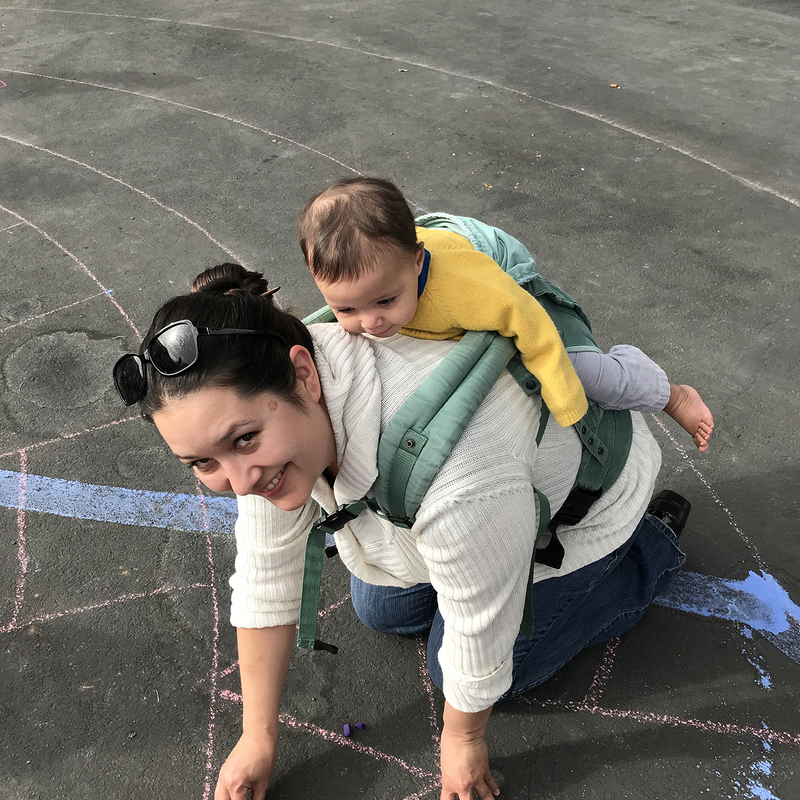 Let me share with you some things that work. 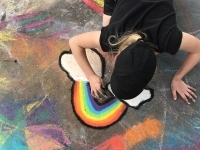 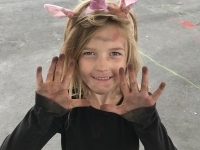 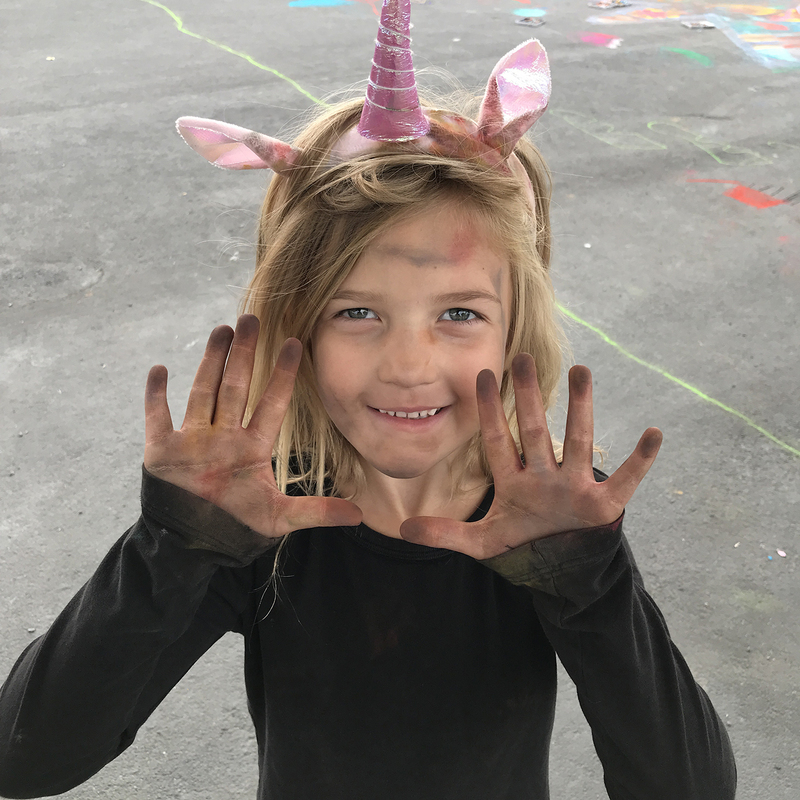 1) Clean your surface – no pebbles, leaves, trigs, goose poop – chalk does not like these things. 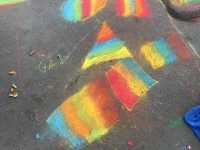 2) Pick a design. 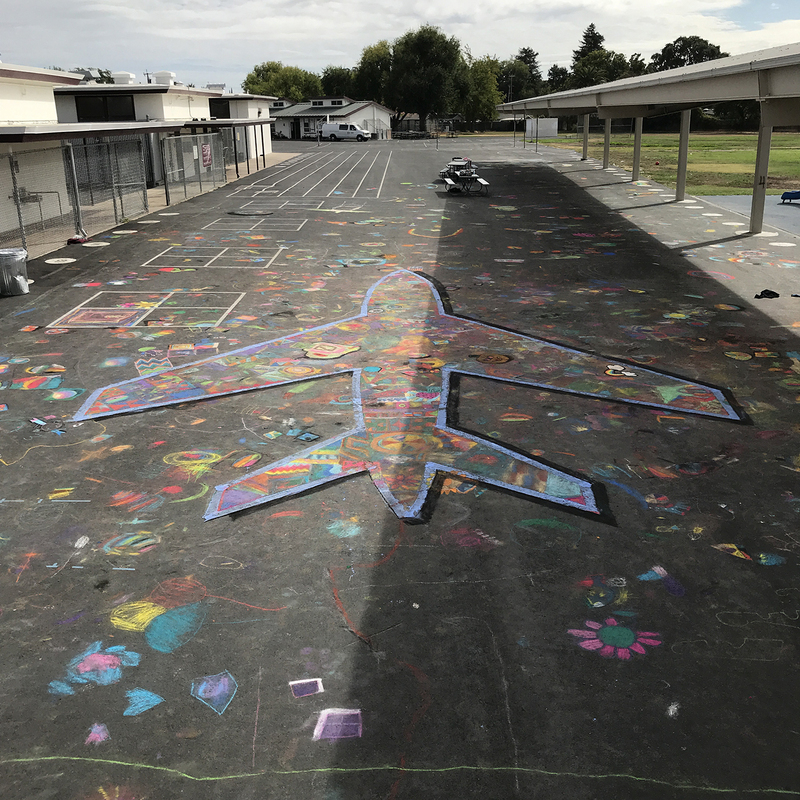 This school’s power animal (mascot) is a jet. 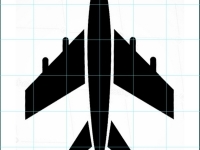 Using the internet I type in “jet/clip art” and look around for something that might work. 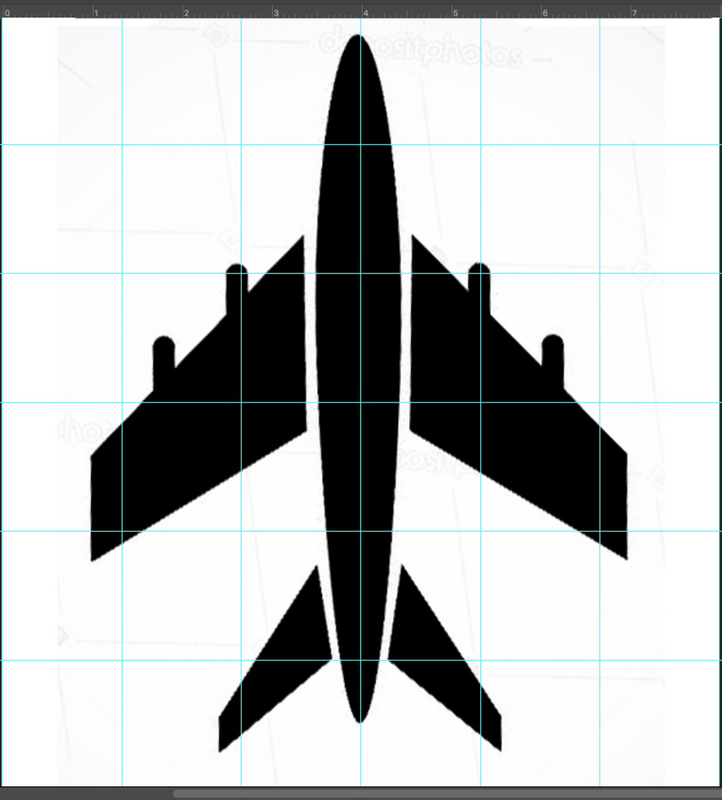 I liked this jet, then download and open it in to photoshop, added a grid, printed it out. 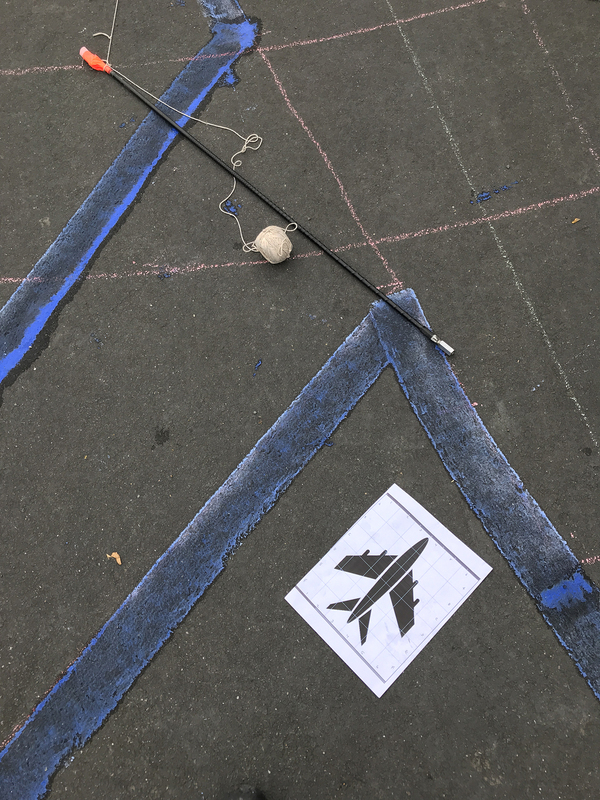 3) Create larger grid on playground using tape measure and chalk snap lines. 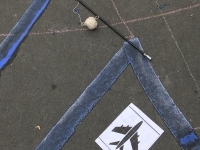 I was able to hand draw this Jet by using a tape measure, figuring my larger squares would be 5 ft. (1.5 meters). 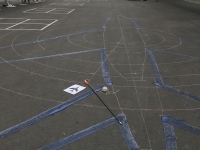 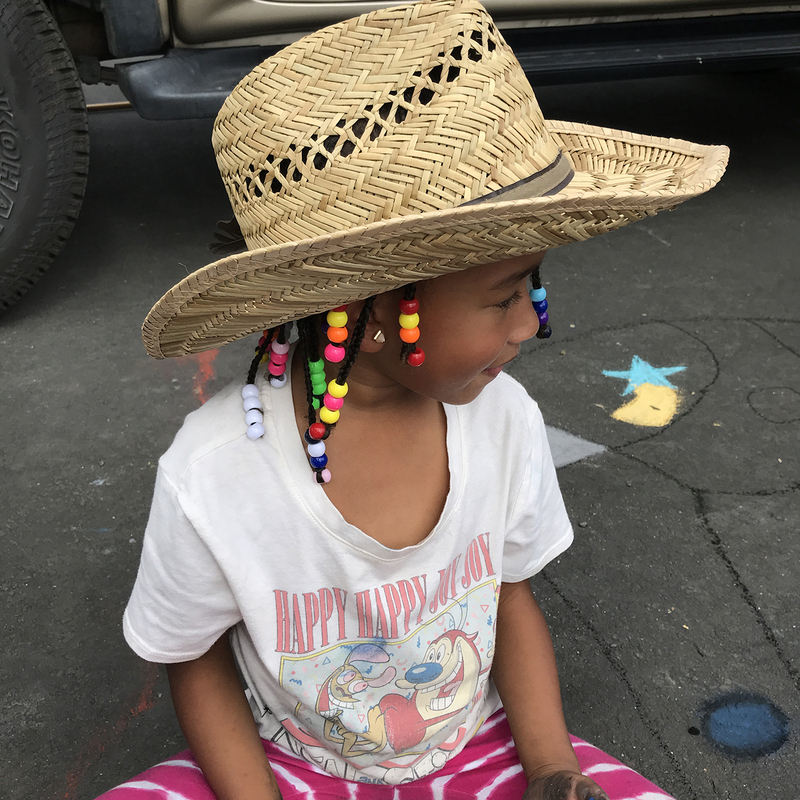 I use an old truck antenna that I tape chalk to for a drawing stick – love it. 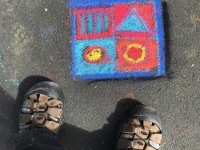 4) I outline the image using powered chalk (home depot – blue is least permanent) mixed with water, and a paint roller. 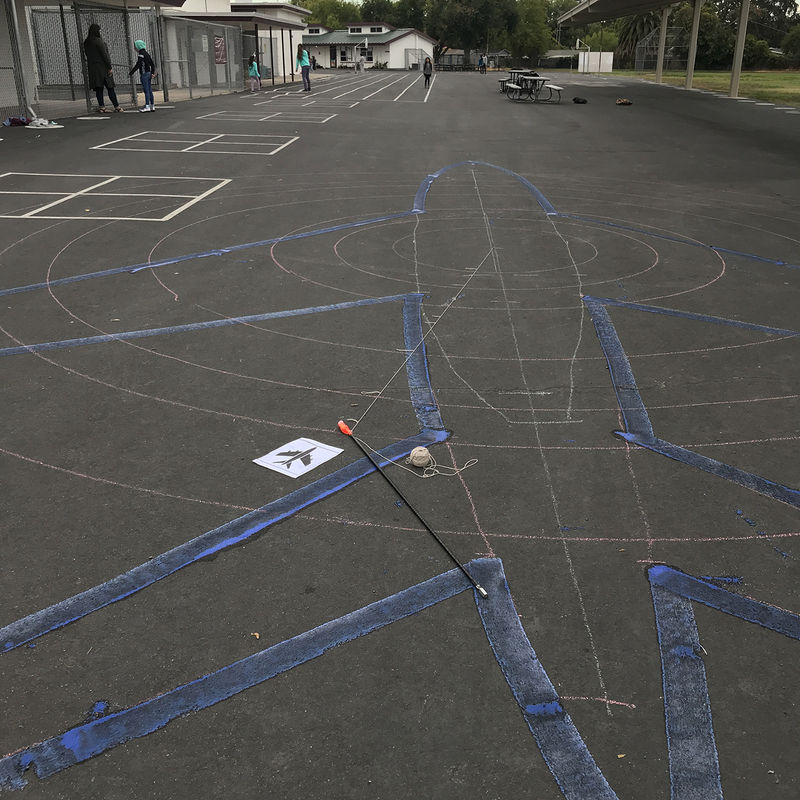 The large outline is super helpful in directing kids where to draw, otherwise a larger form gets lost easily with 300 students plus. 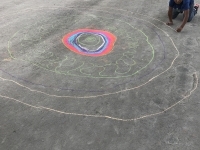 5) I have been using a circular mandala design element ever since I visited Nepal. 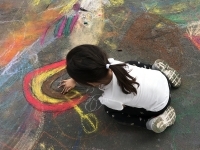 I use a cement nail (extra strong) and a hammer to place a nail in the playground. 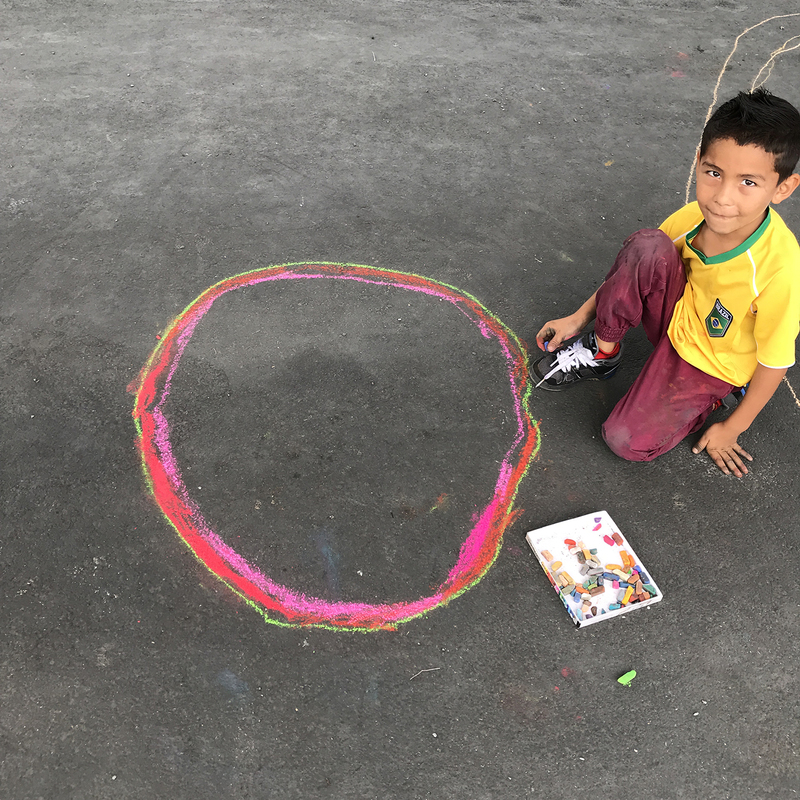 Using a ball of string that already has loops tied into it, I draw concentrical circles. 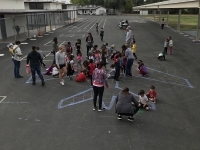 I then subdivide each area giving kids a space to draw inside. 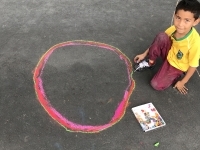 Very helpful for little kids, and it helps them see and understand negative space. 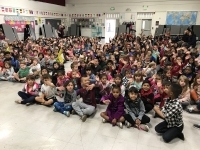 6) I present a great assembly with 150 photos of previous projects. 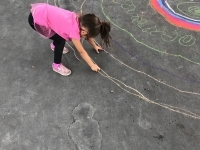 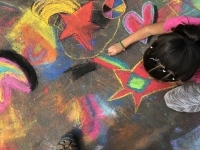 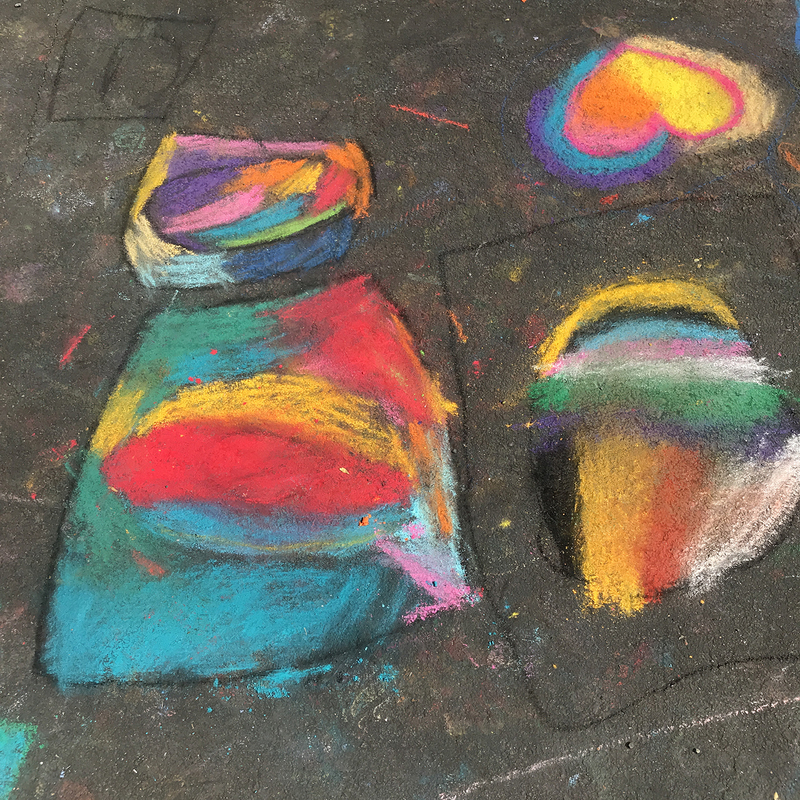 7) I give each class a chalk demo to set them up for a great time drawing. 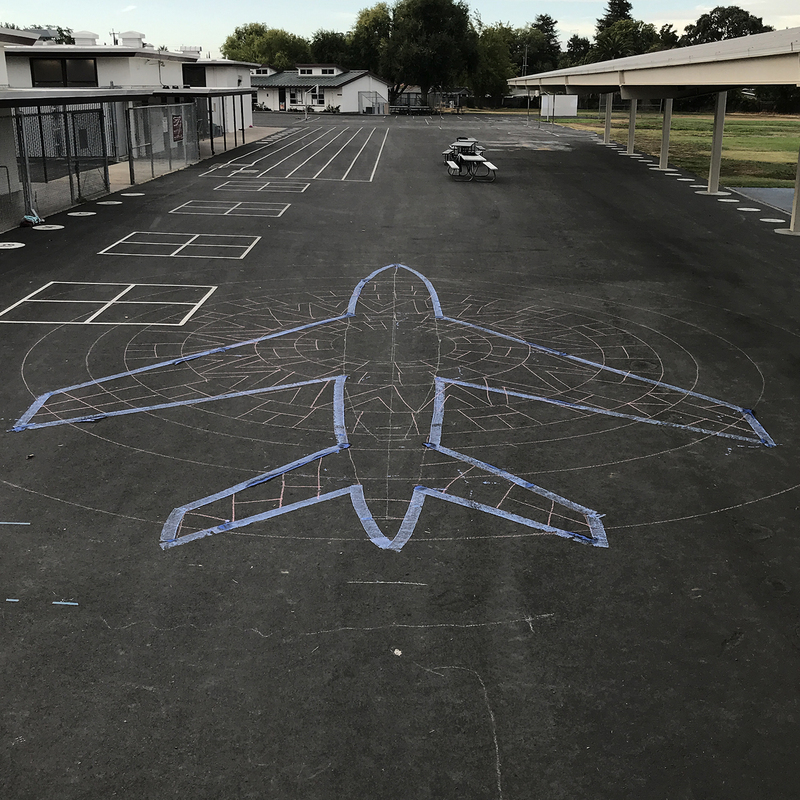 Beginning line work, fill it in solid. 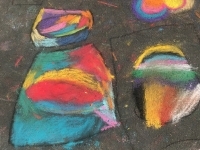 See more about this here. 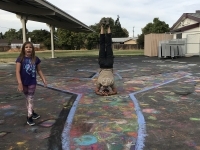 Here is information I send to each school. 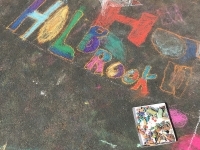 And to see more artwork from Holbrook.